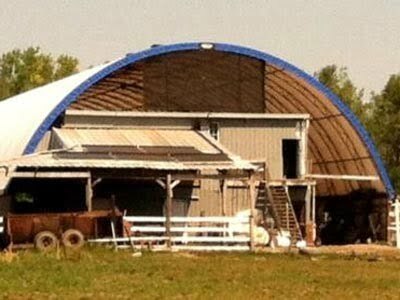 How to get started? 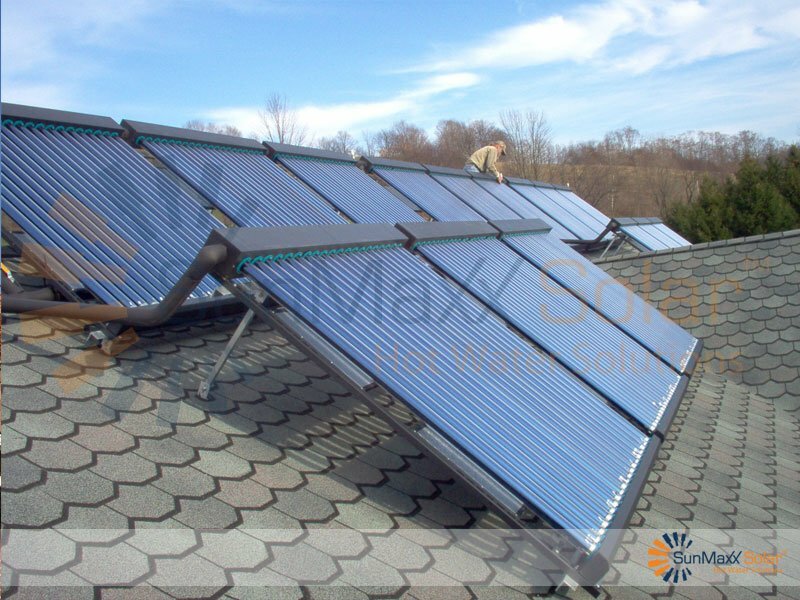 Step 1 Calculate your daily hot water load/usage. 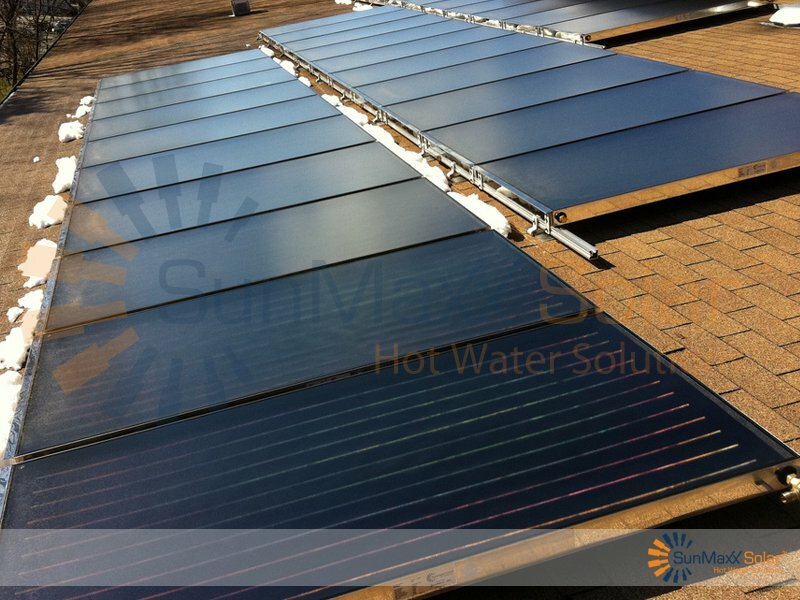 Step 2: Select your kit based on the required hot water consumption. 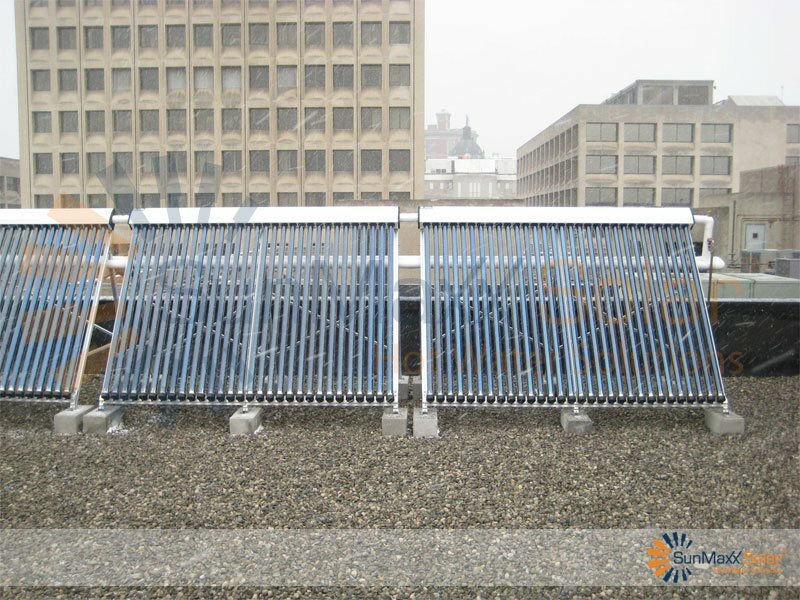 Step 3: Select the collectors you are interested in using (flat plate or evacuated tubes). 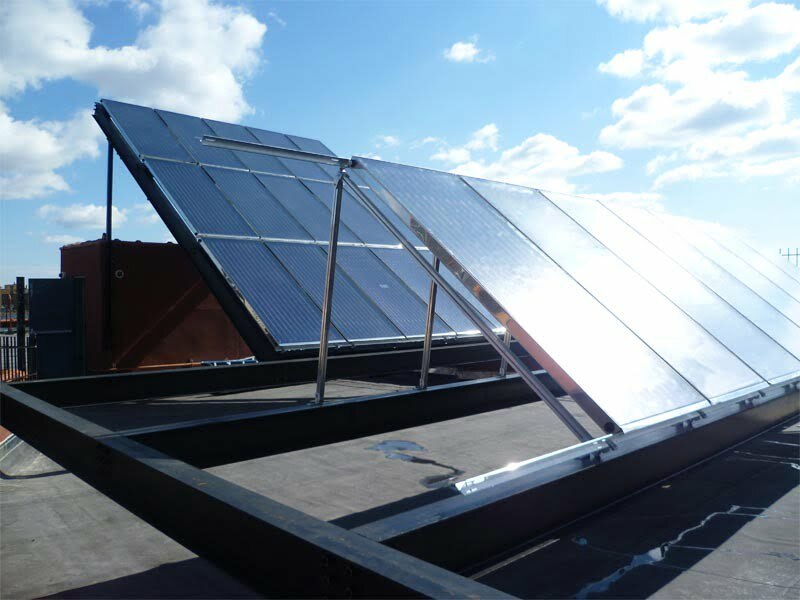 Step 4: Give us a call to review any special requirements for your project. 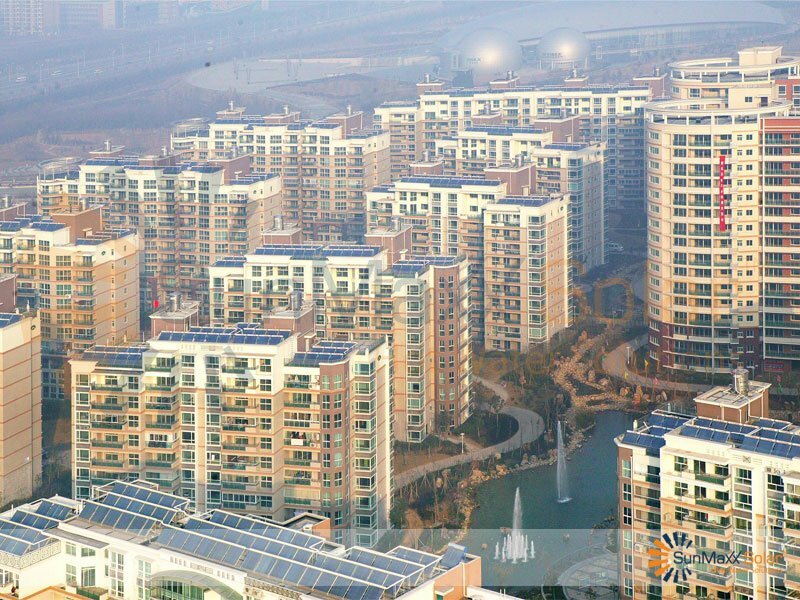 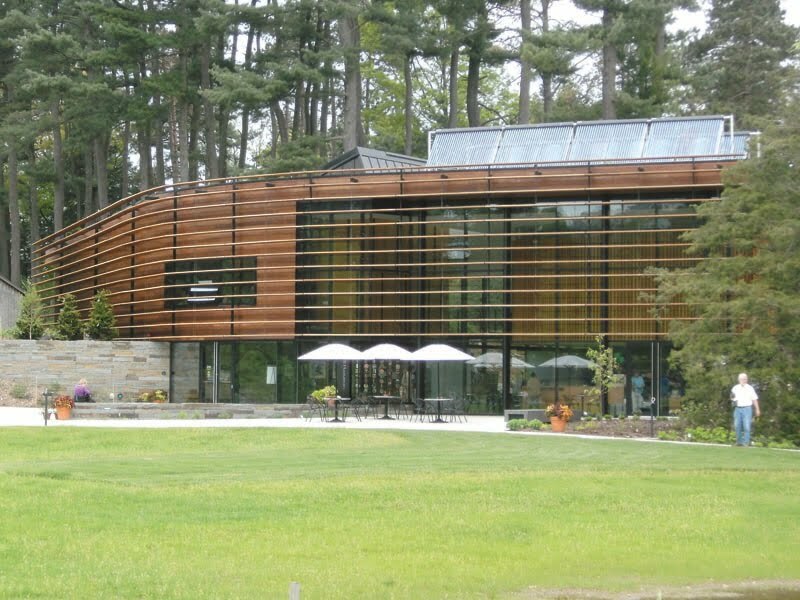 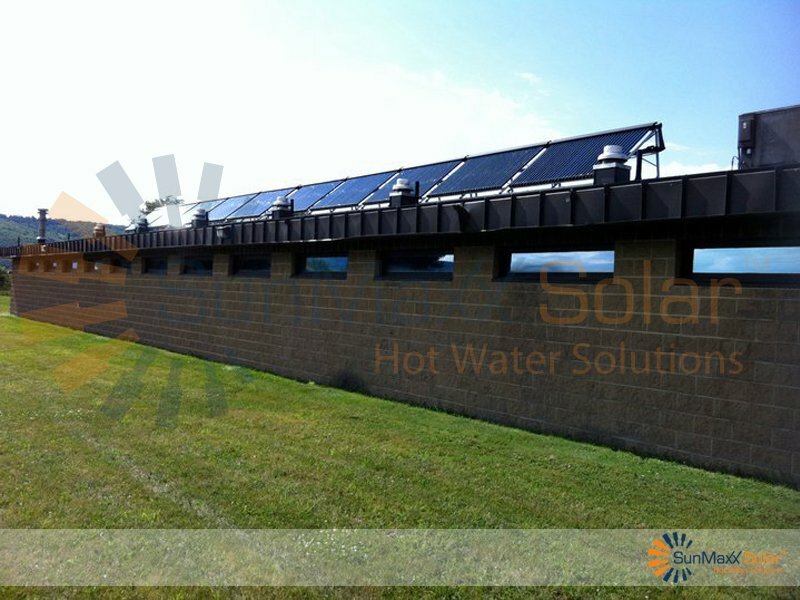 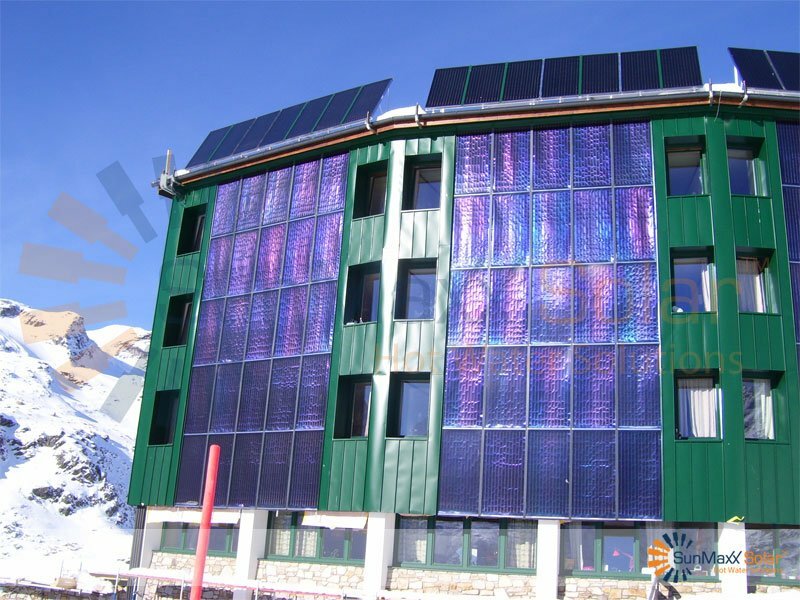 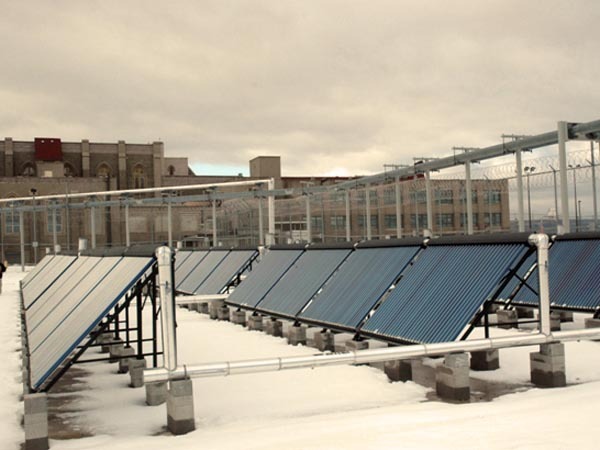 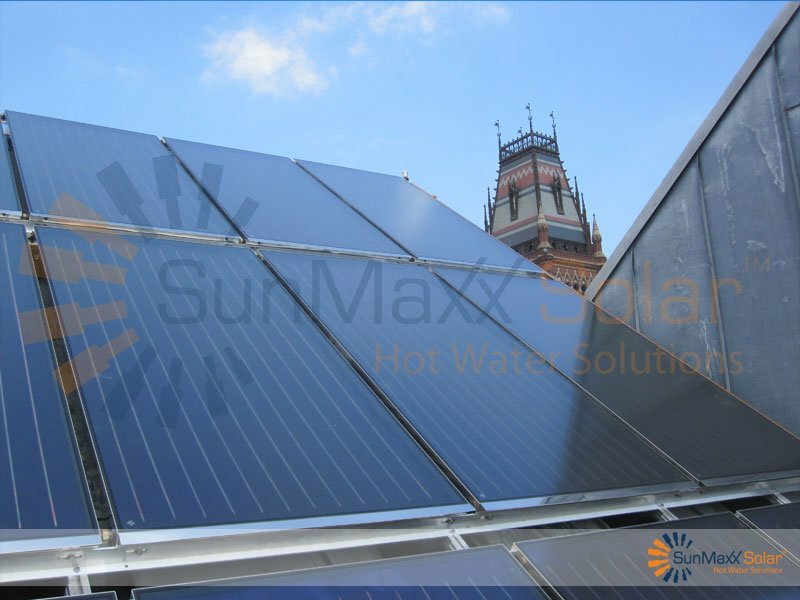 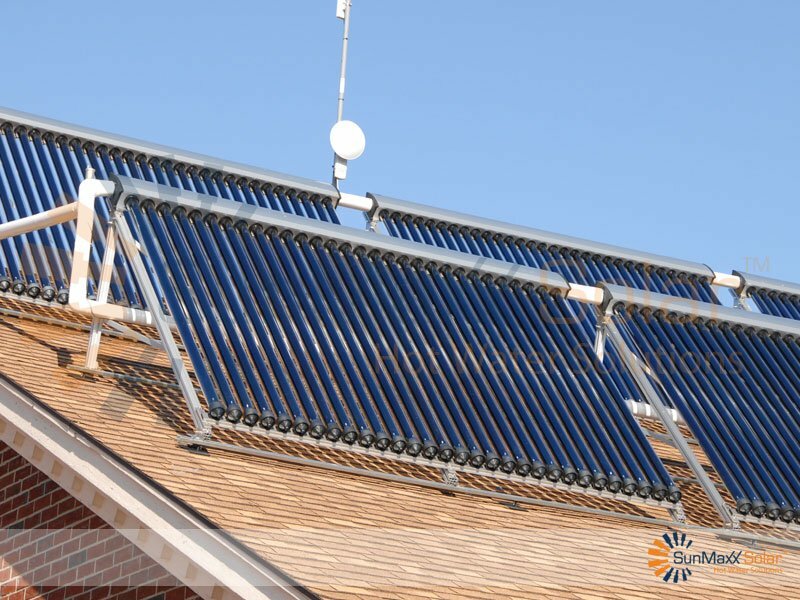 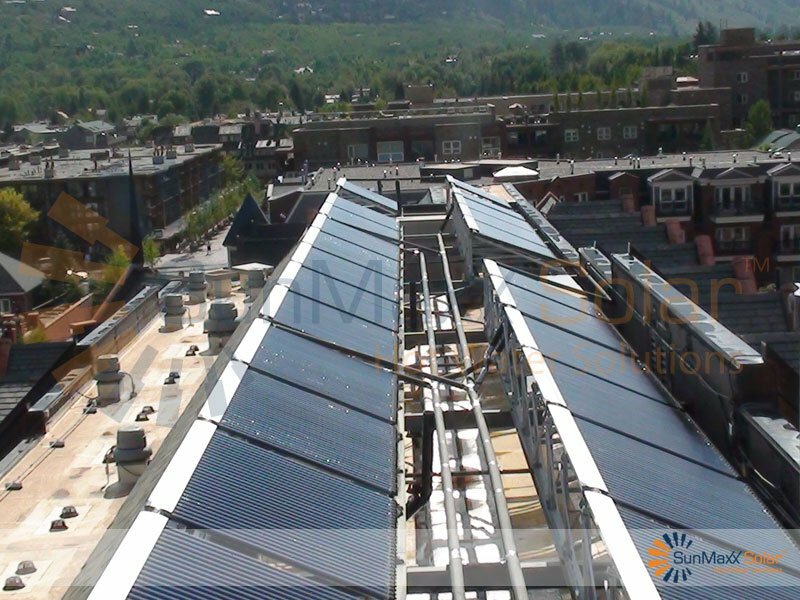 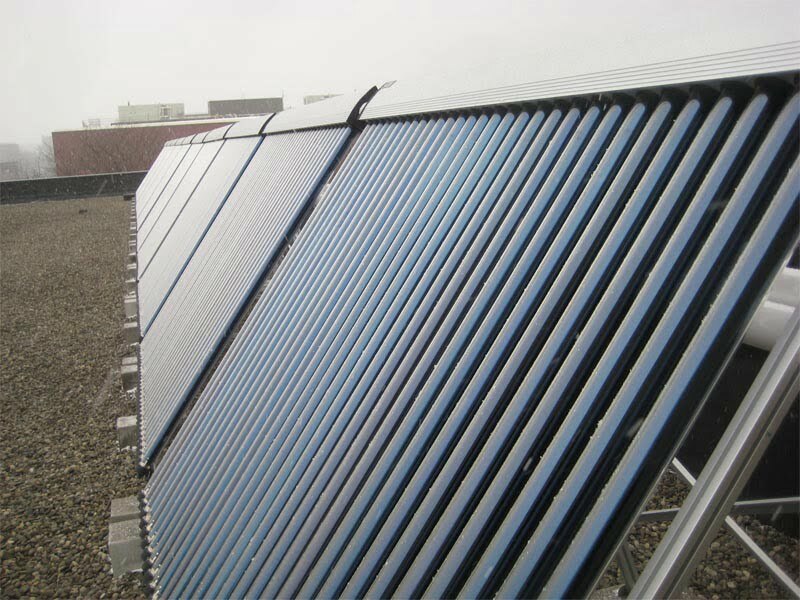 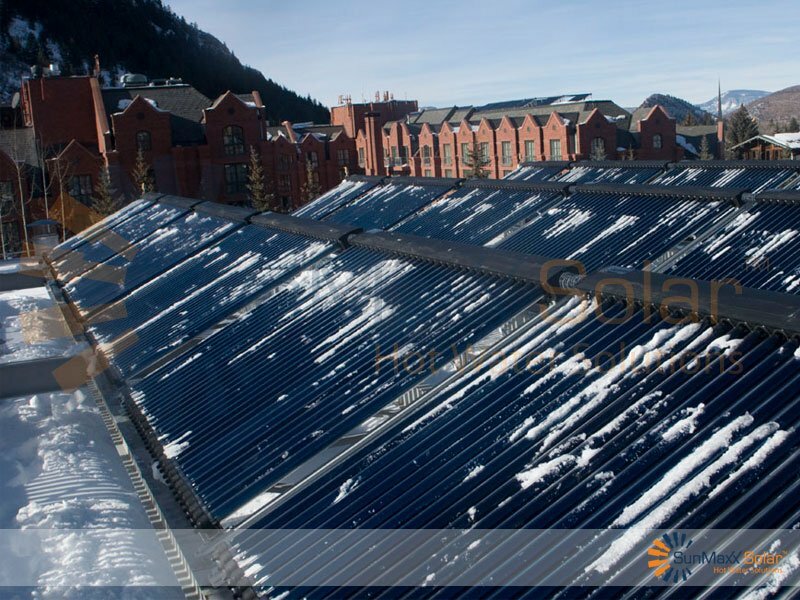 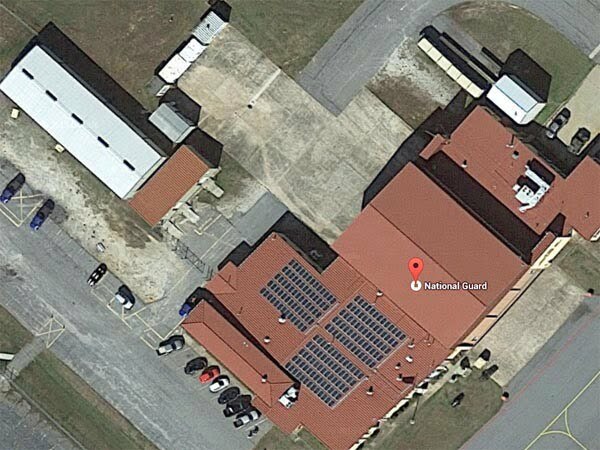 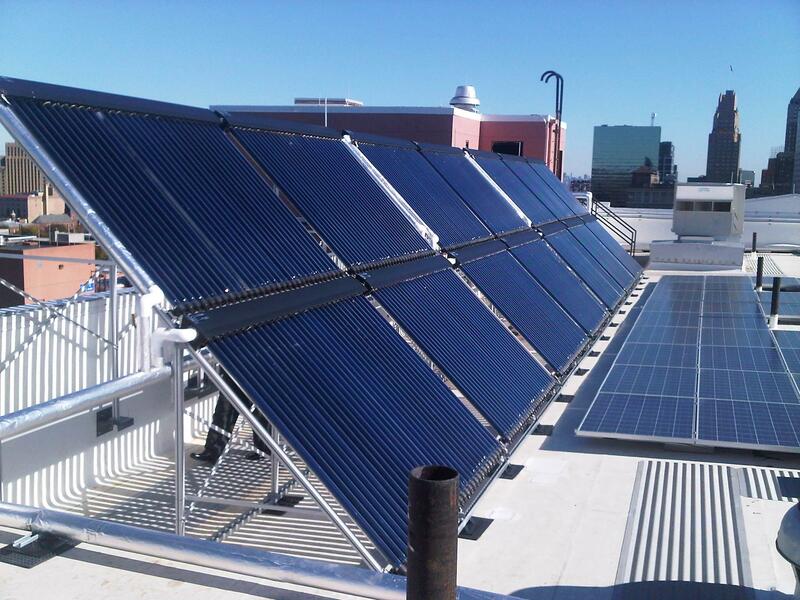 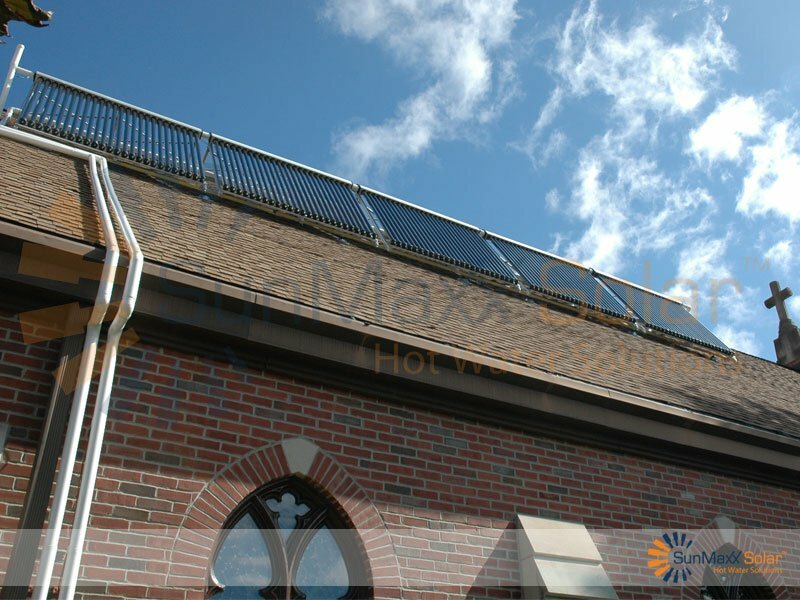 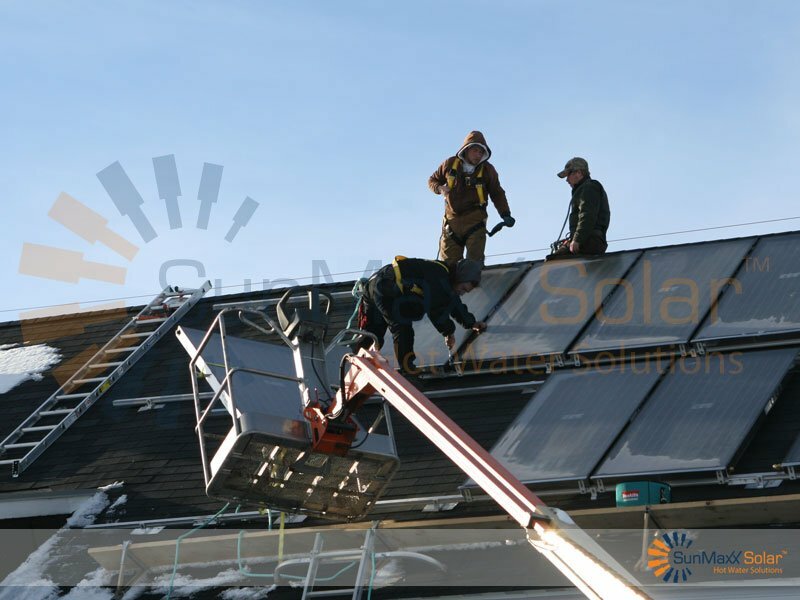 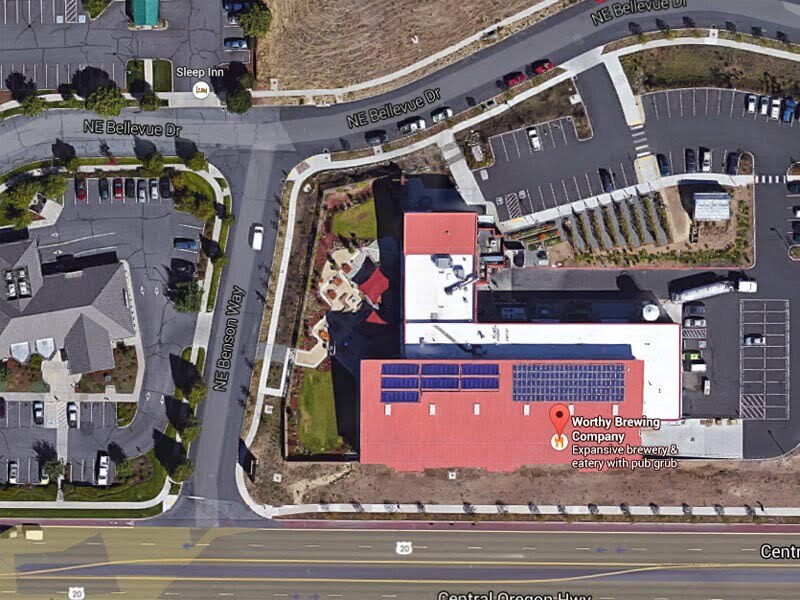 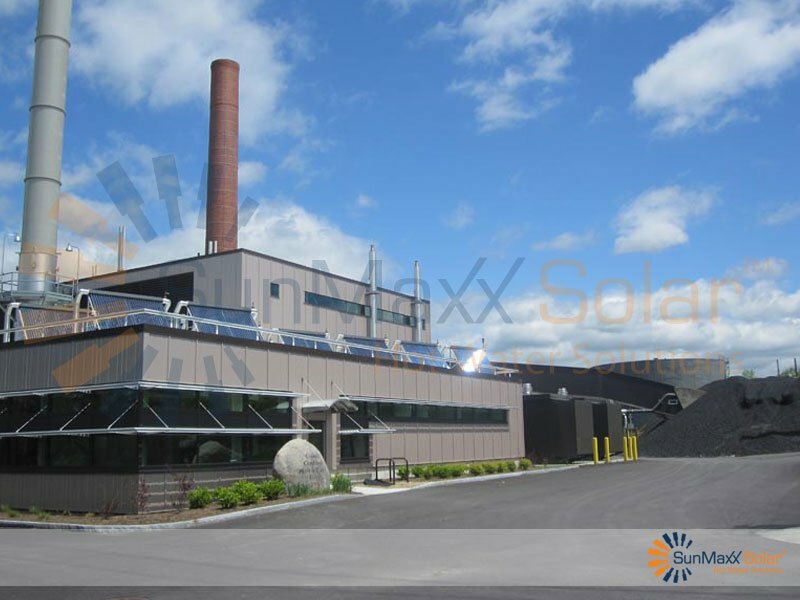 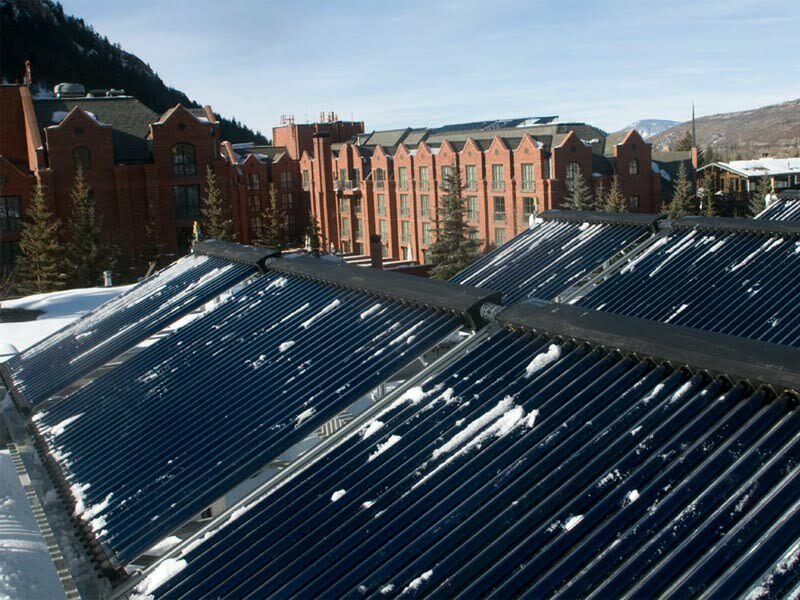 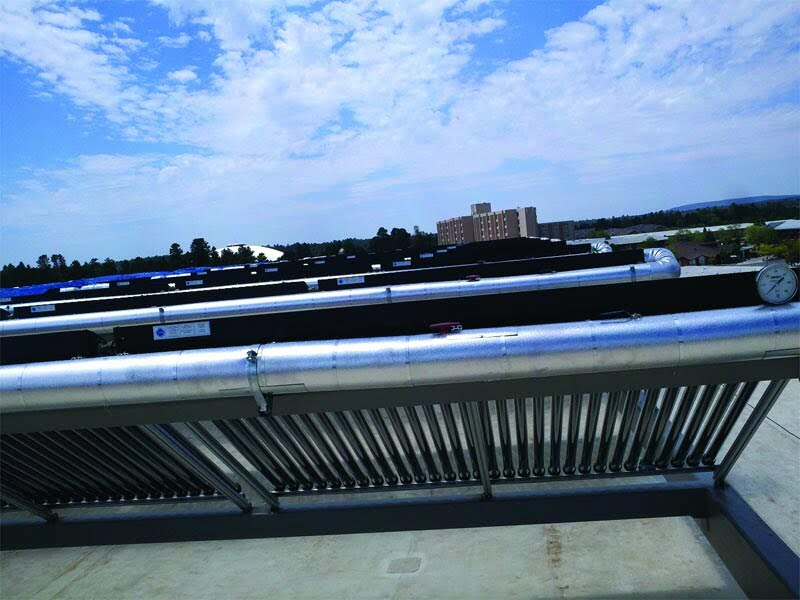 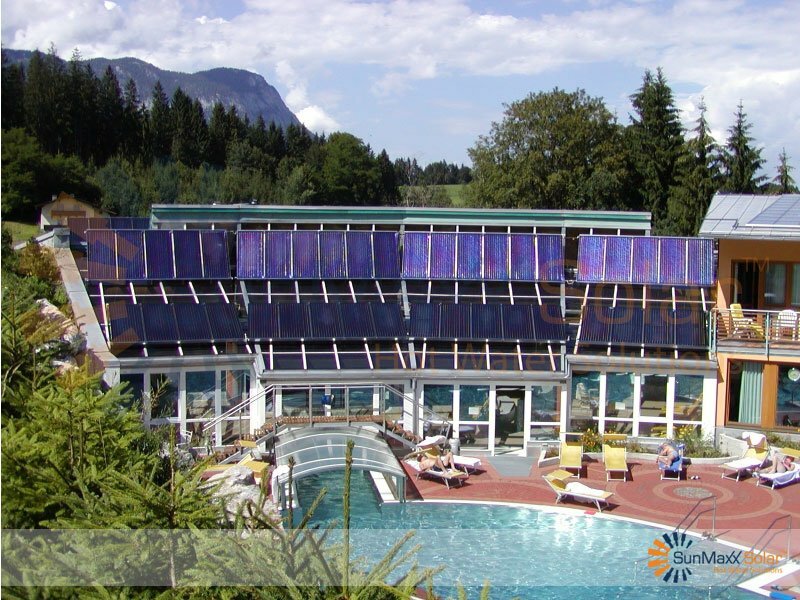 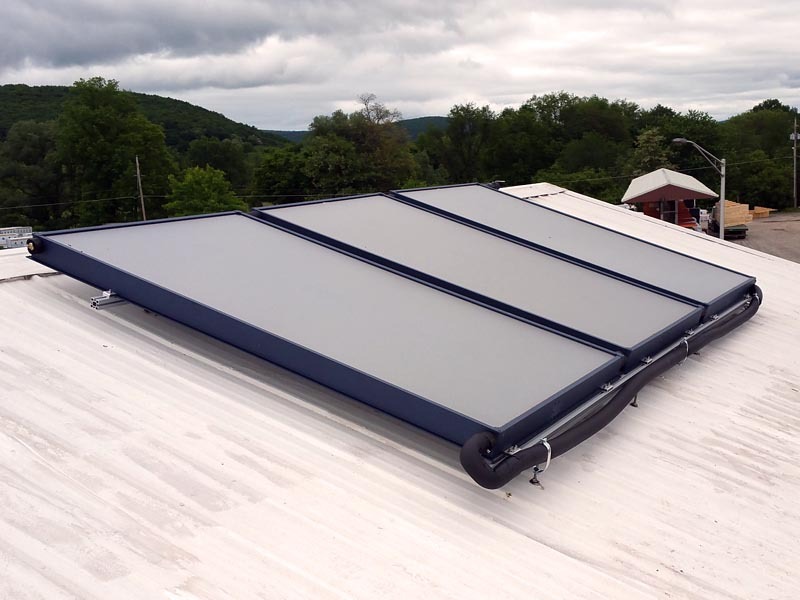 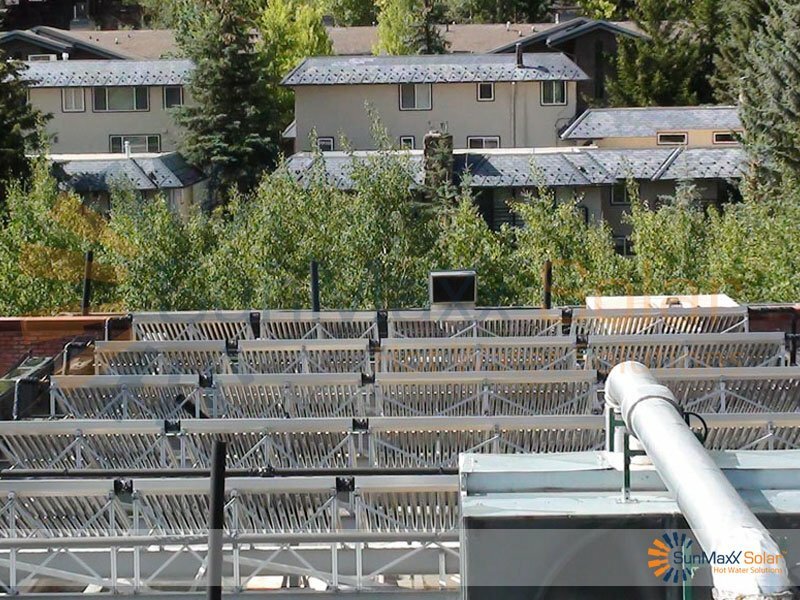 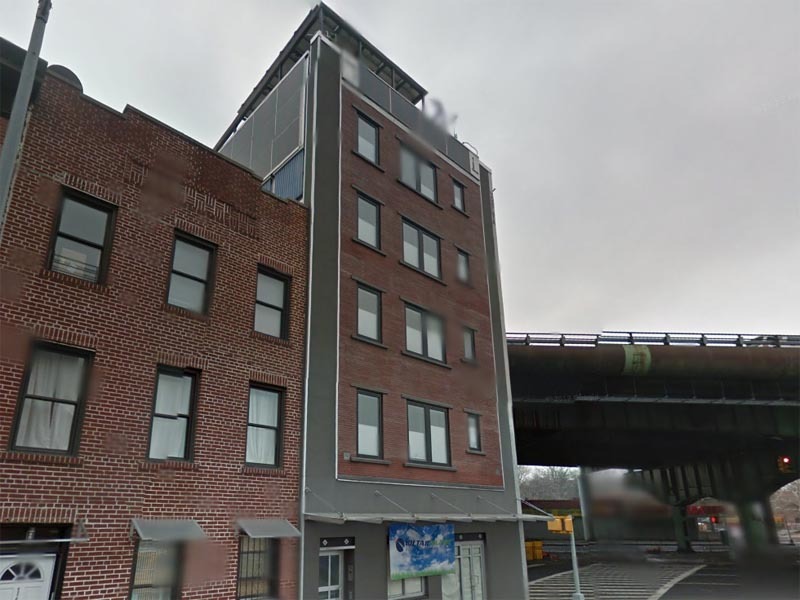 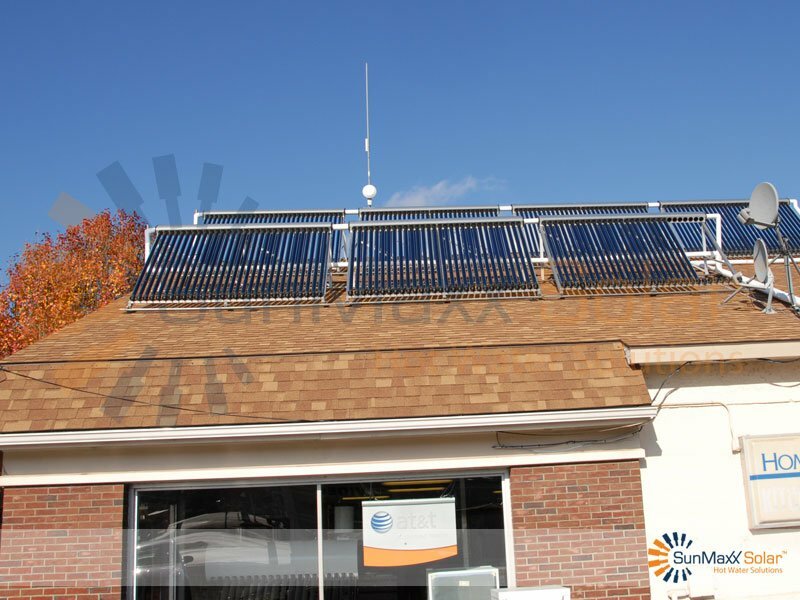 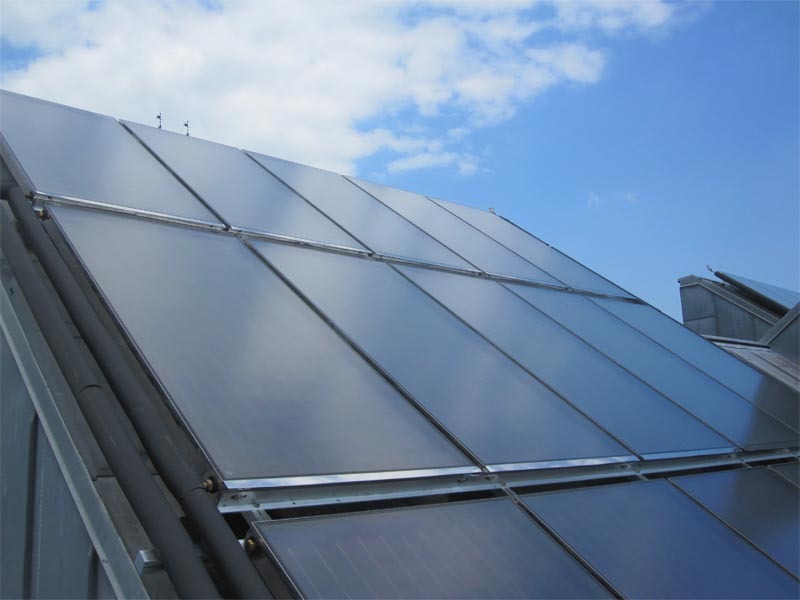 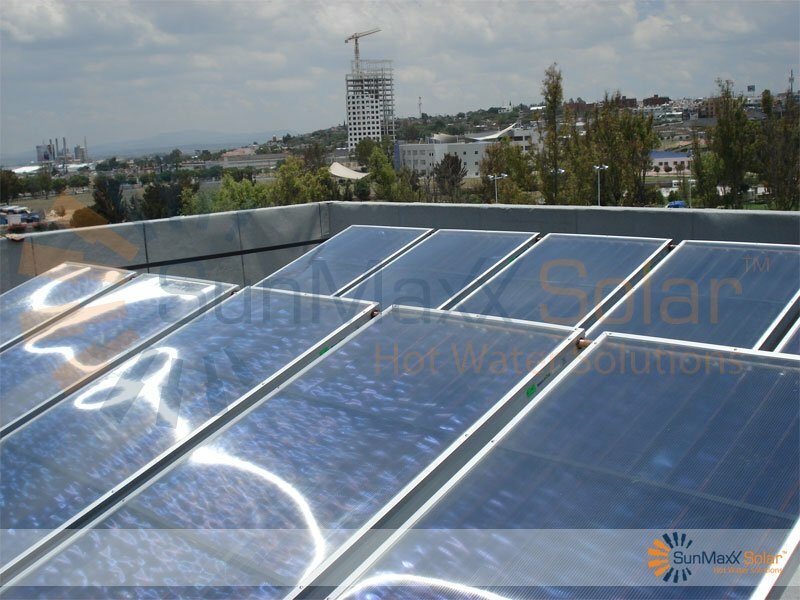 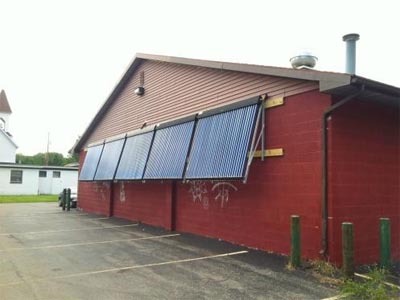 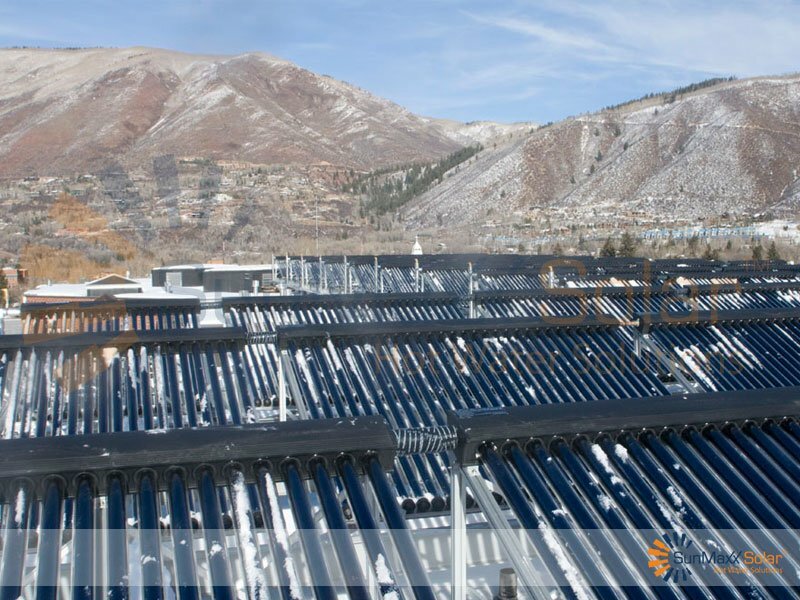 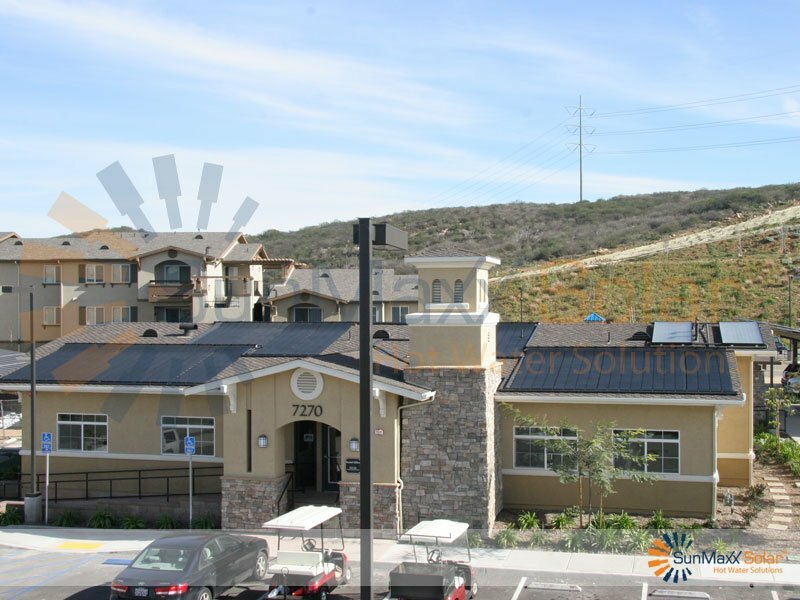 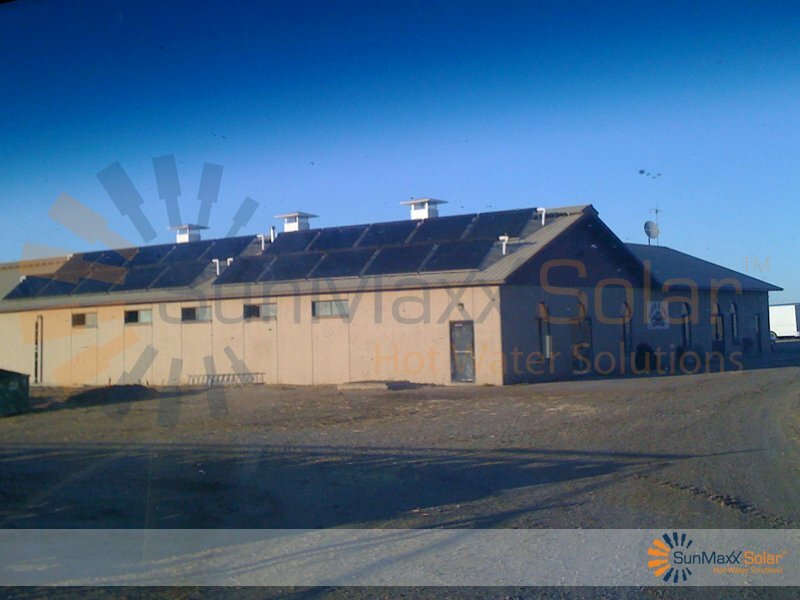 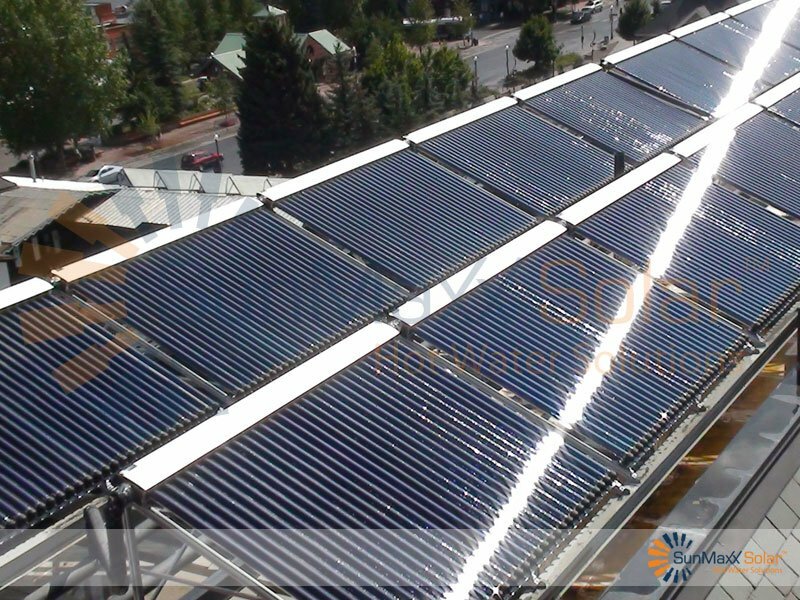 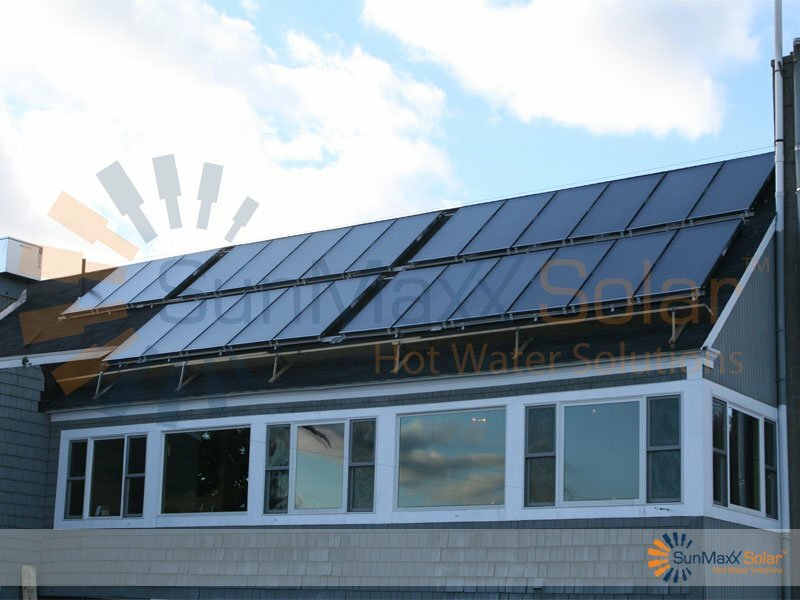 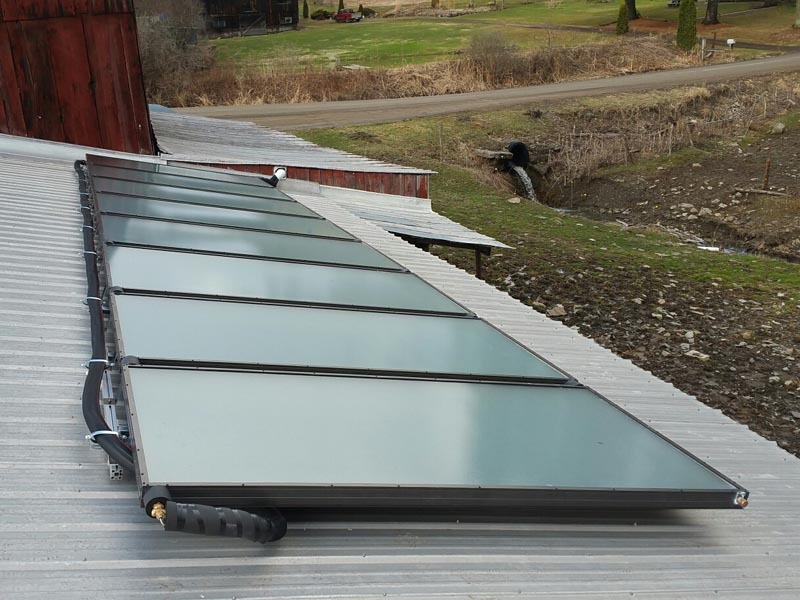 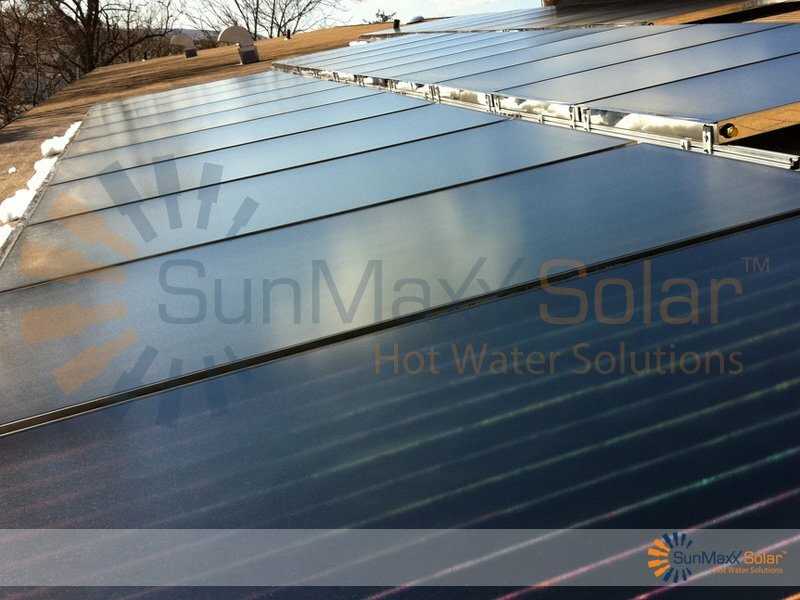 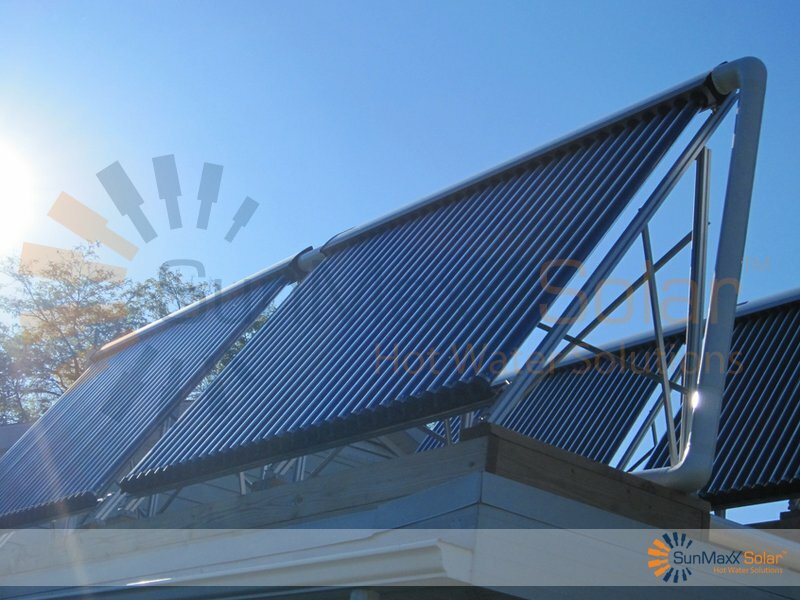 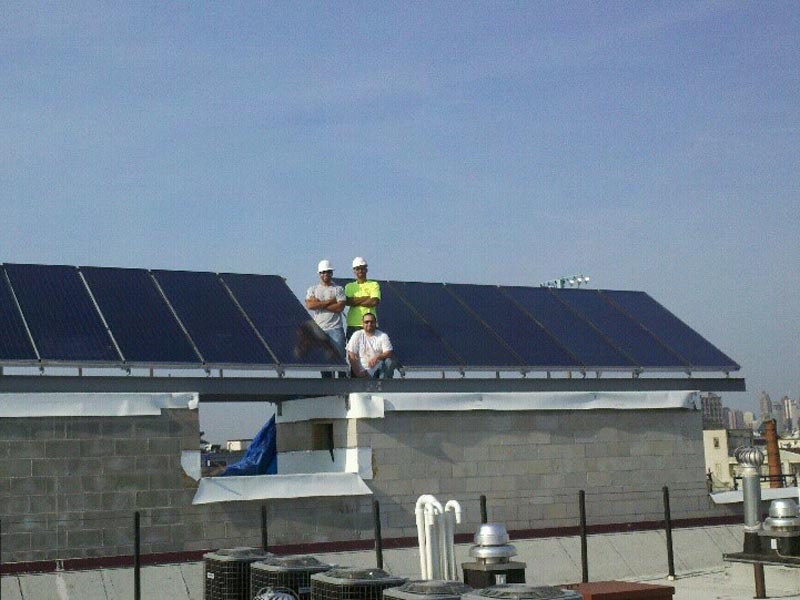 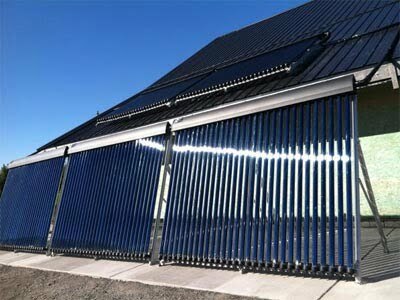 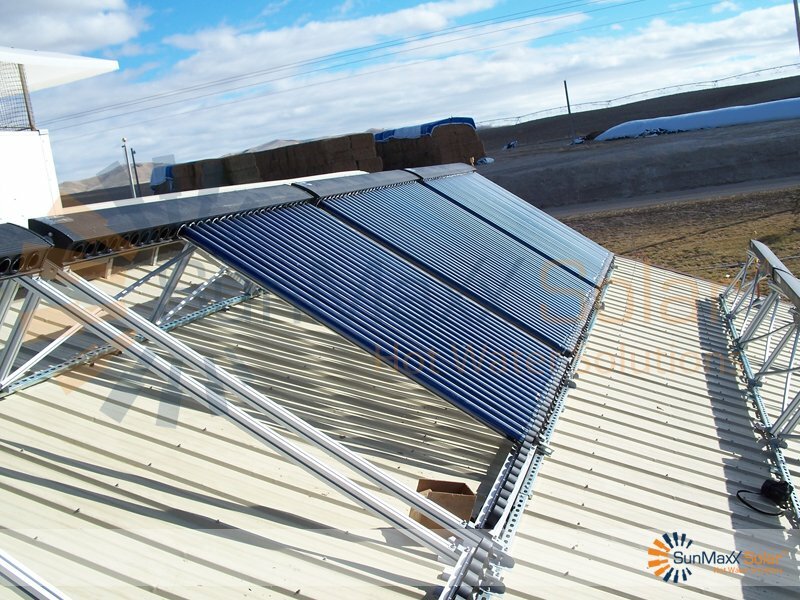 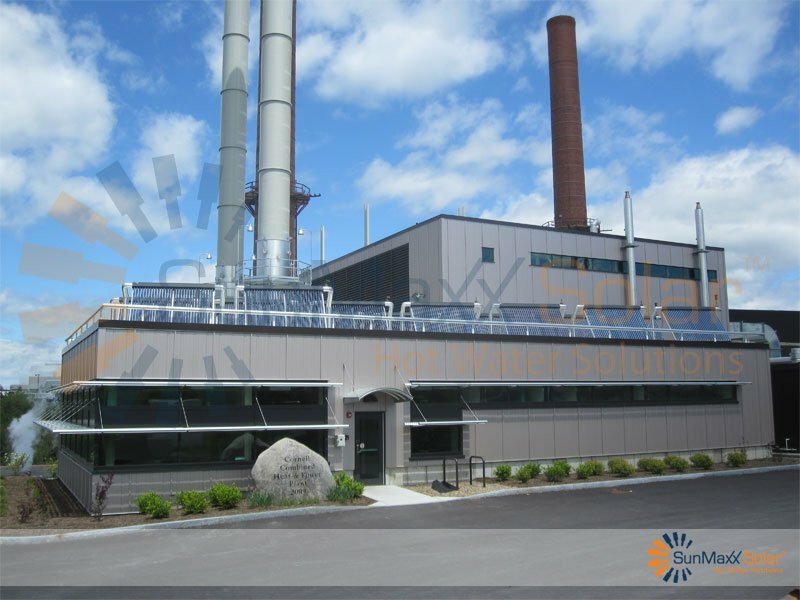 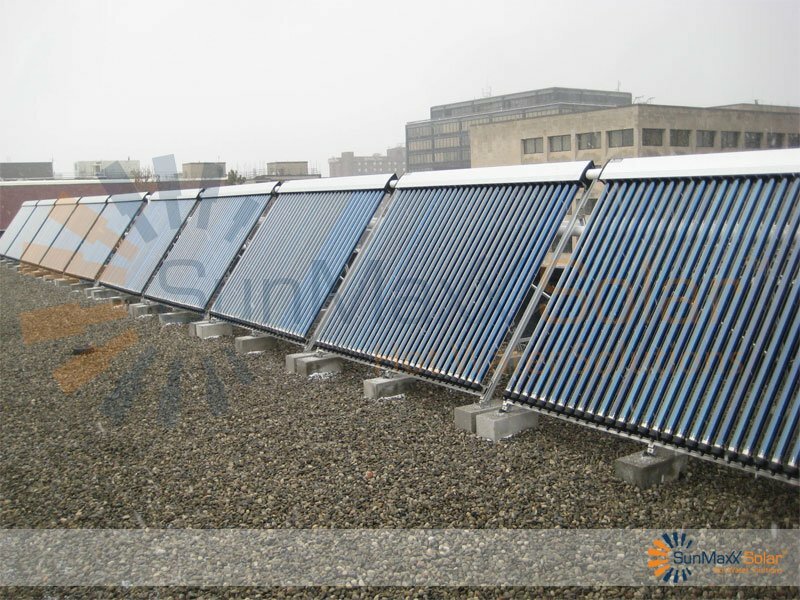 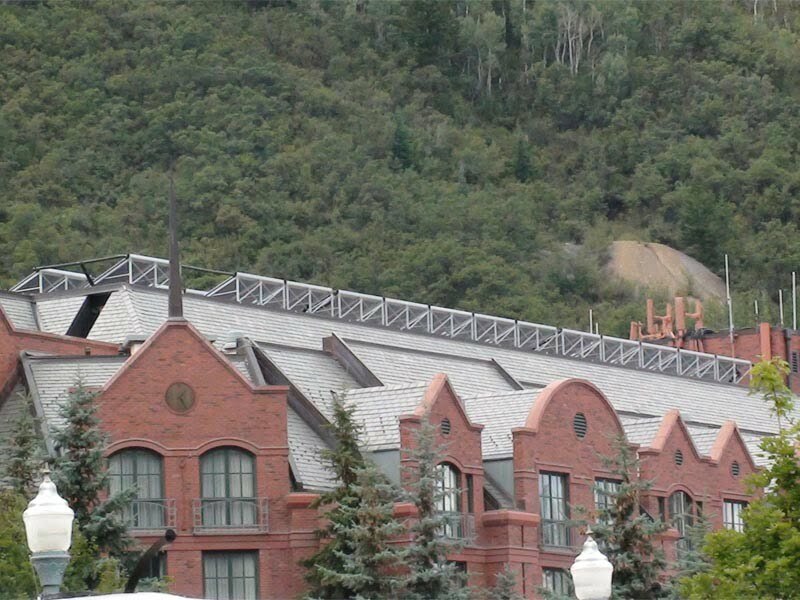 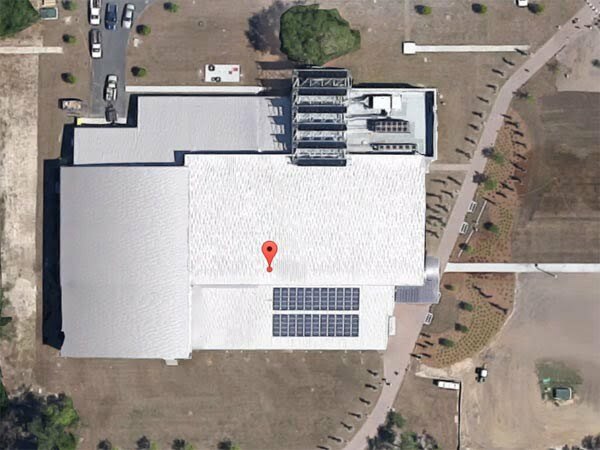 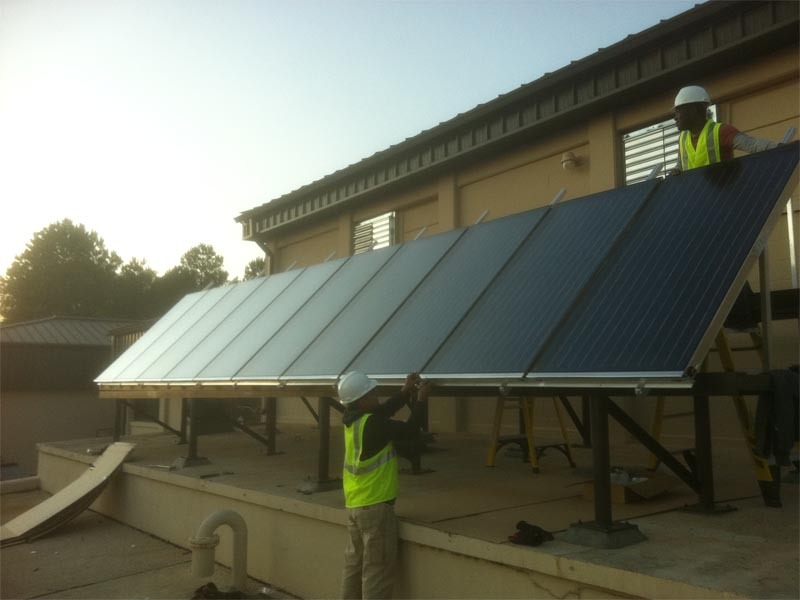 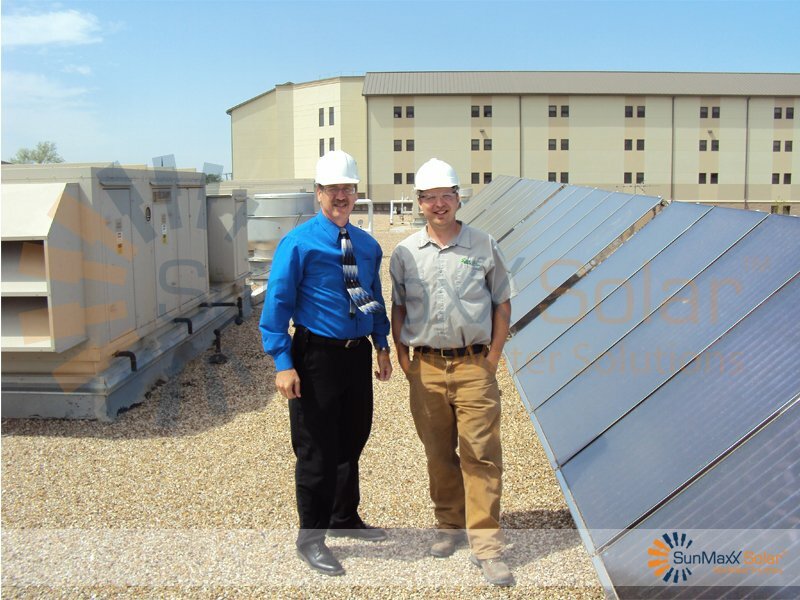 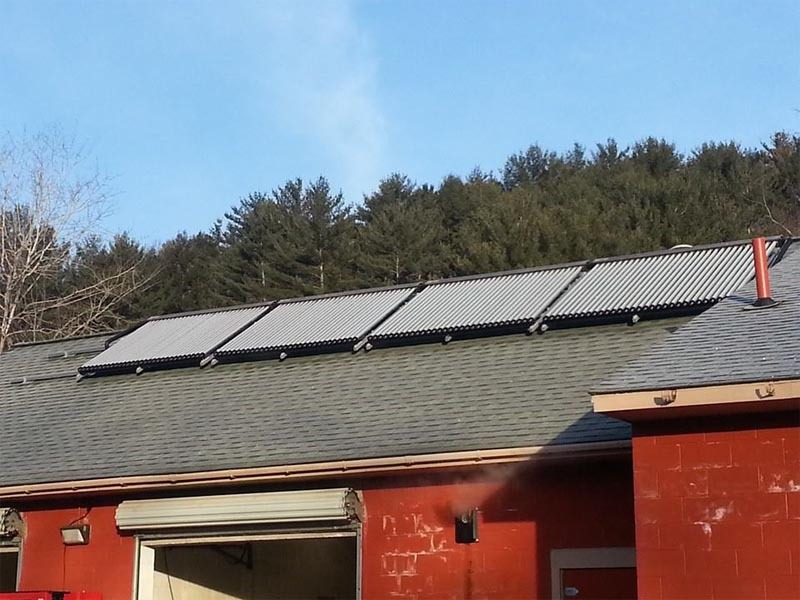 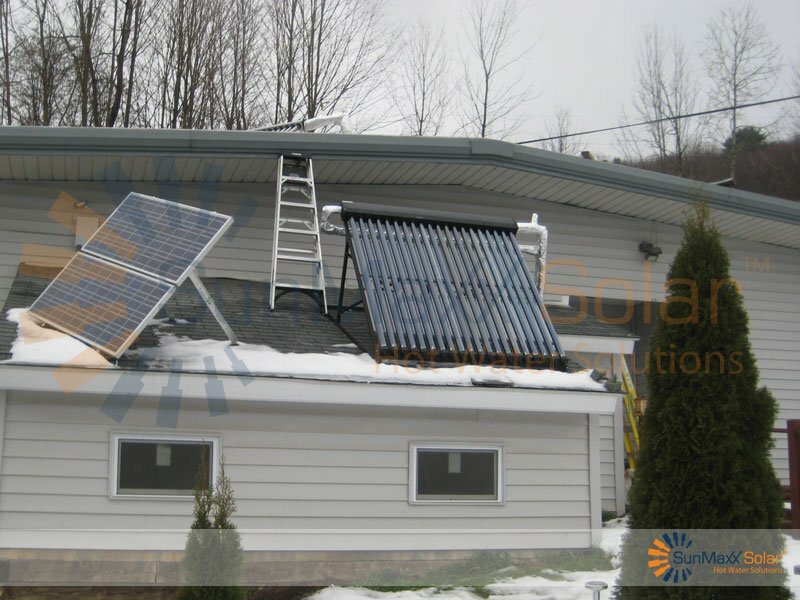 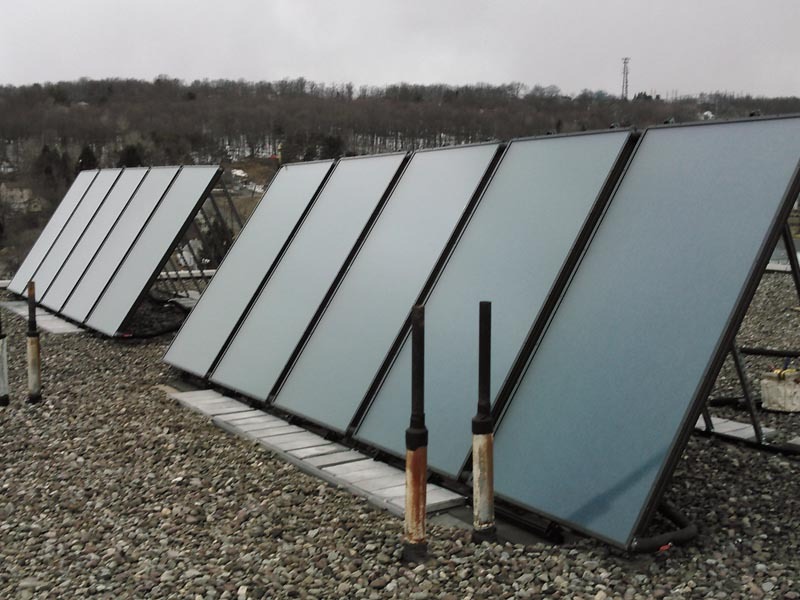 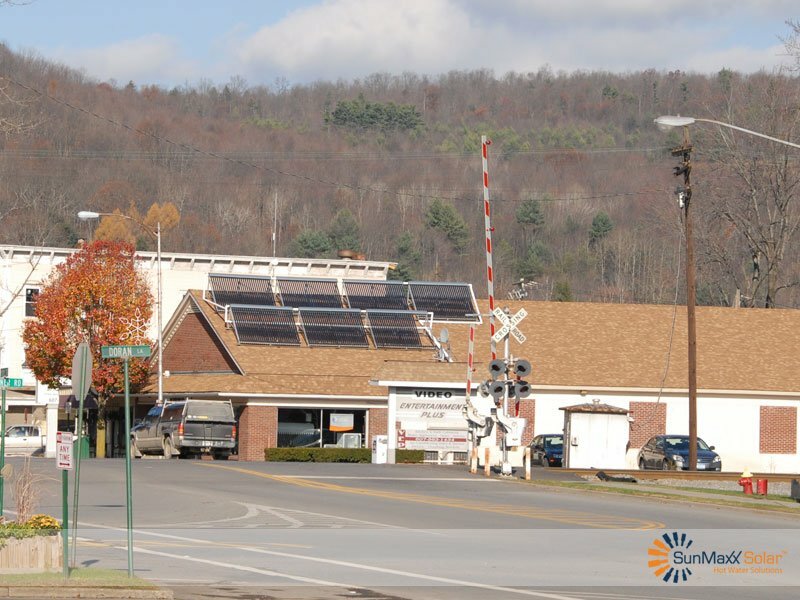 We guarantee to save you 15% on your next commercial solar thermal project . 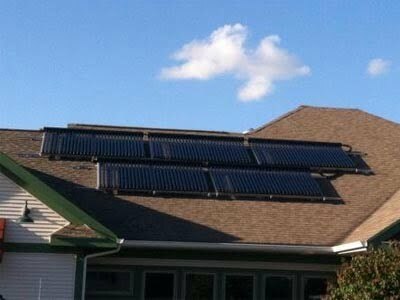 What do the systems include? 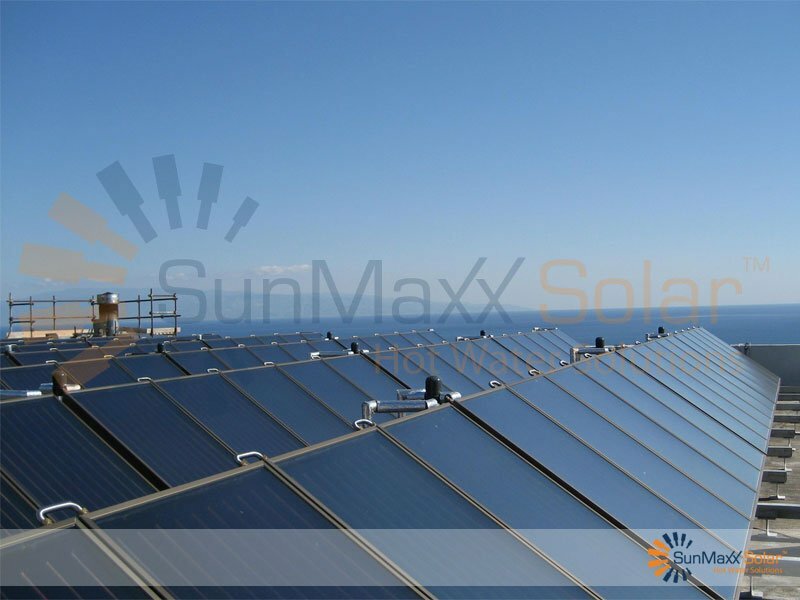 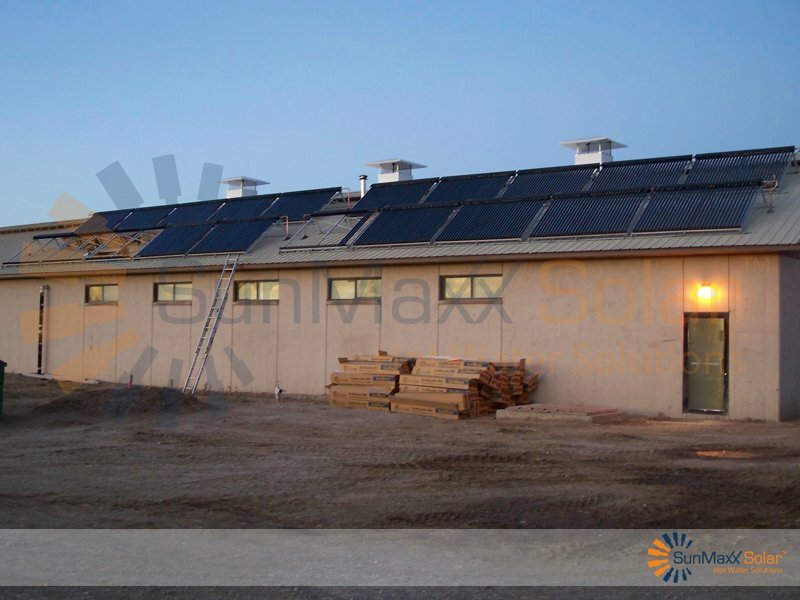 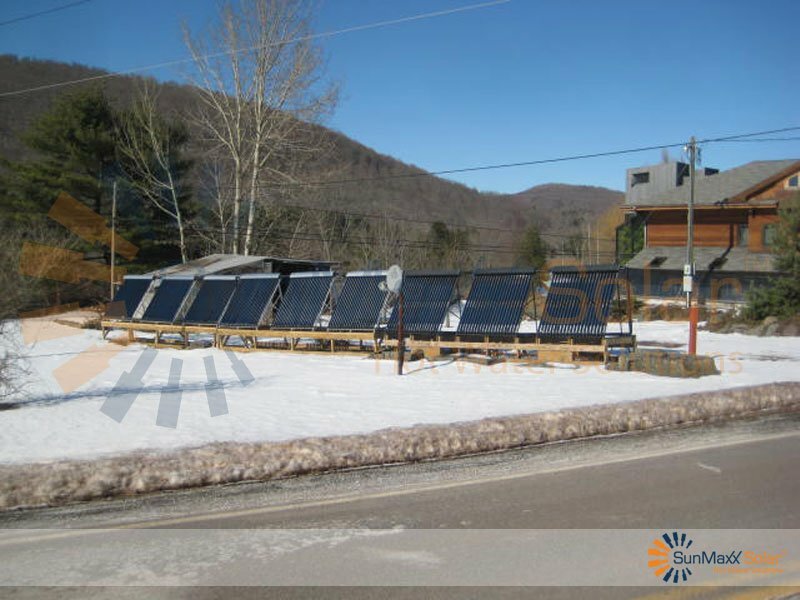 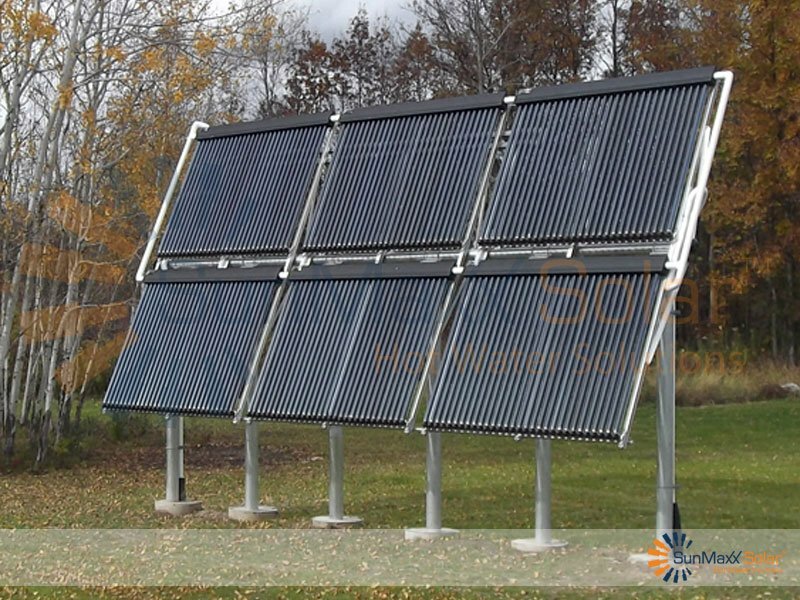 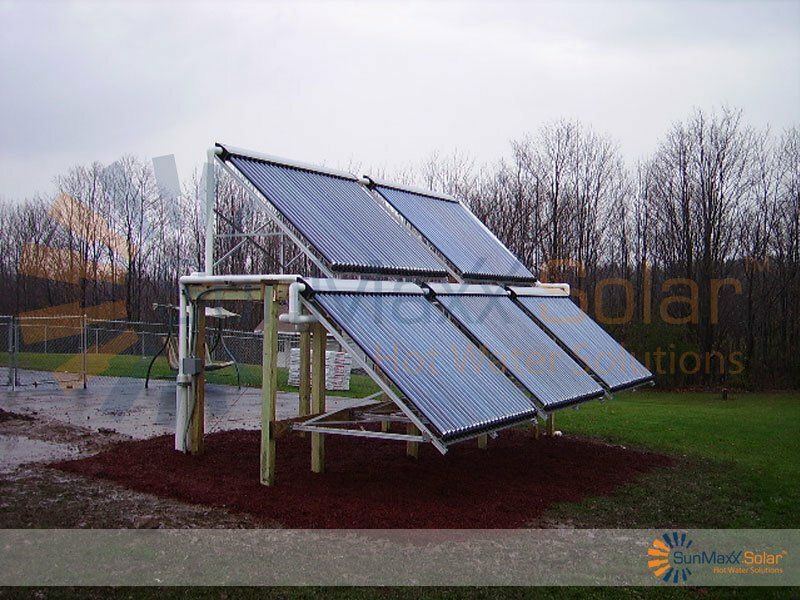 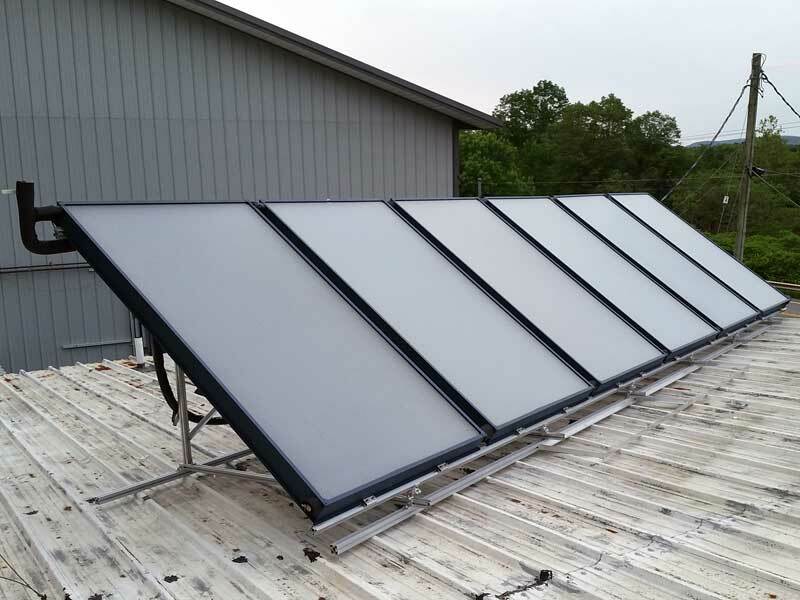 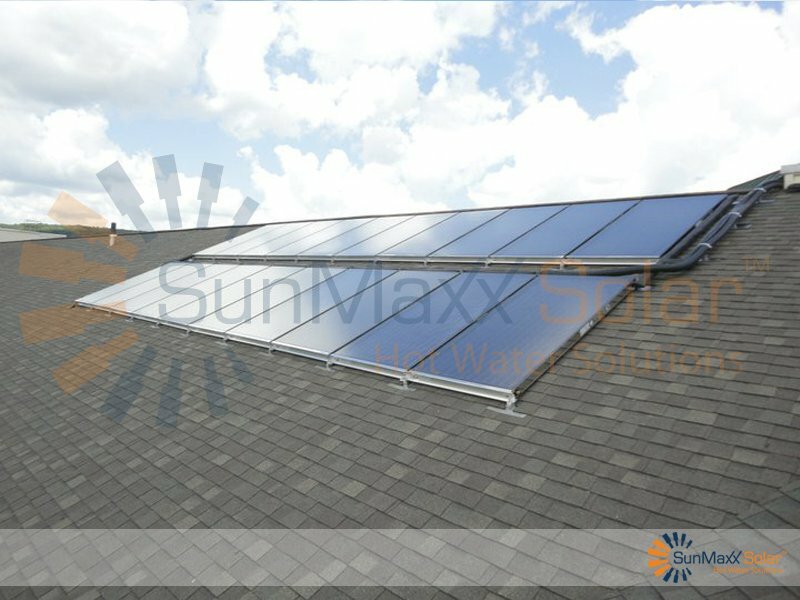 The base pre-package kits include our proprietary UniMaxx commercial solar pump station, StorMaxx commercial solar storage tank, SmartMaxx solar control system (for remote monitoring). 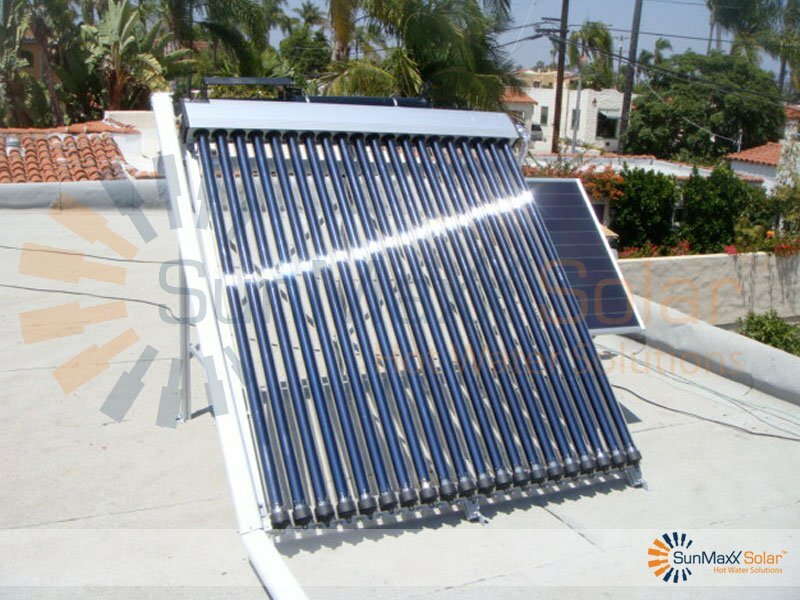 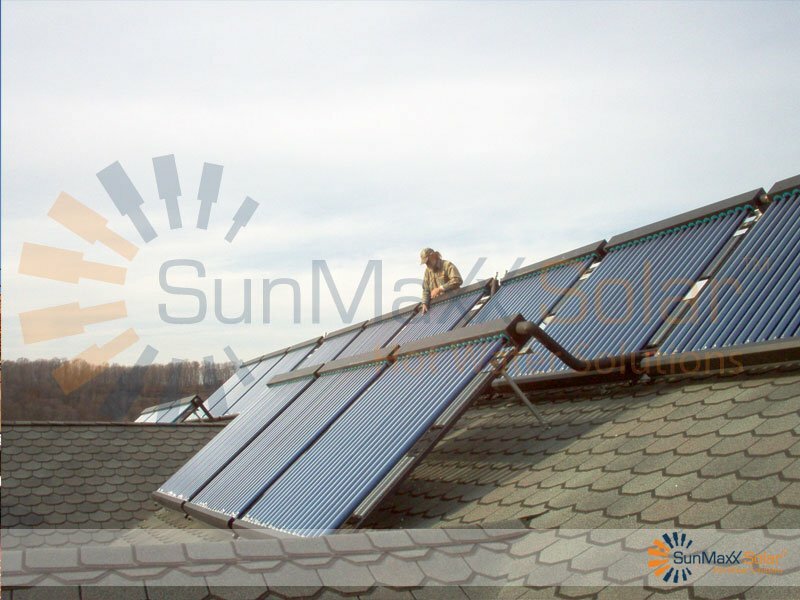 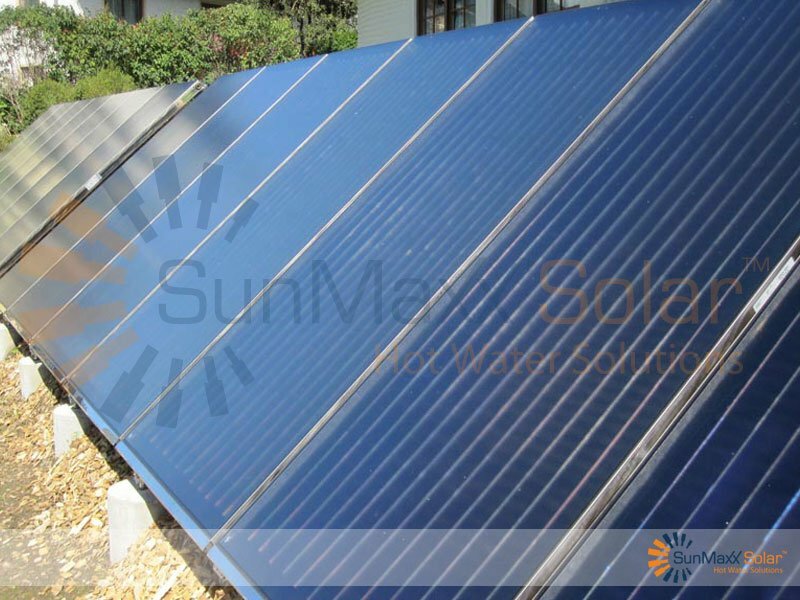 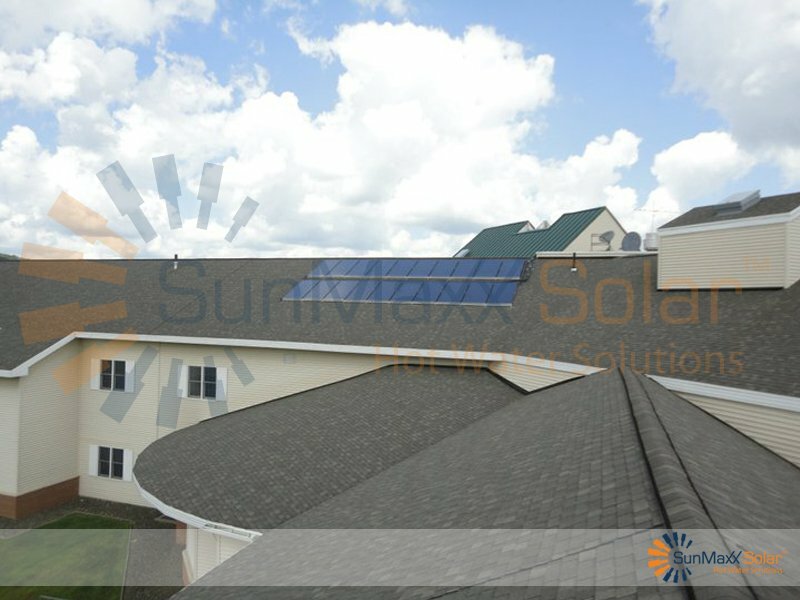 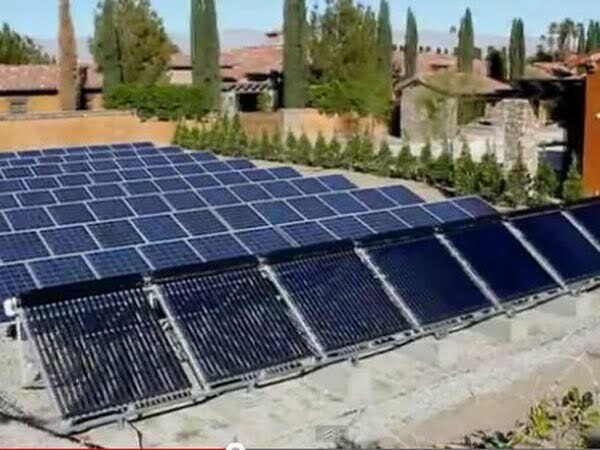 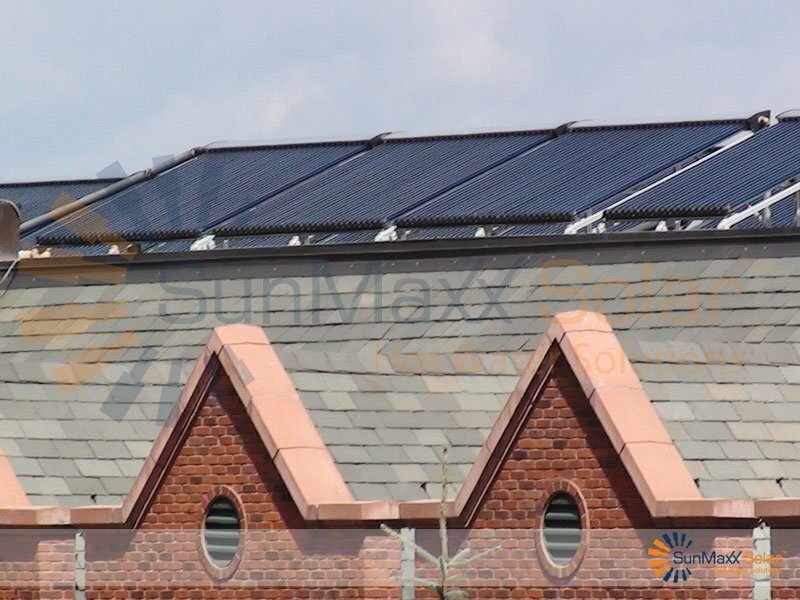 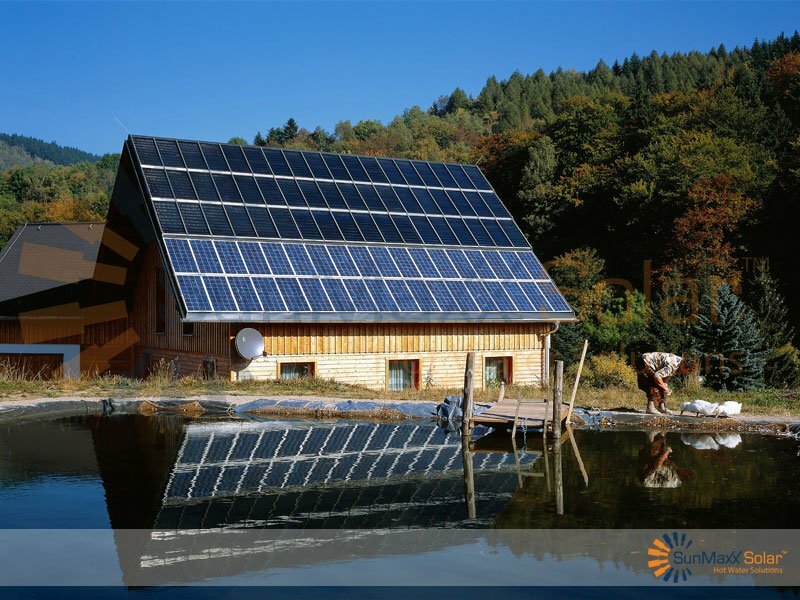 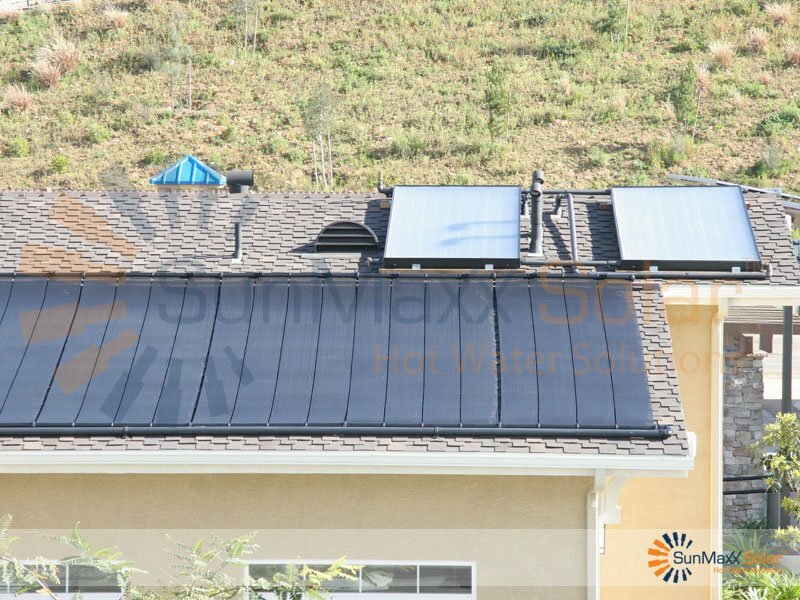 1) Install your StorMaxx solar storage tank (standard system uses non-pressure solar buffer tank. 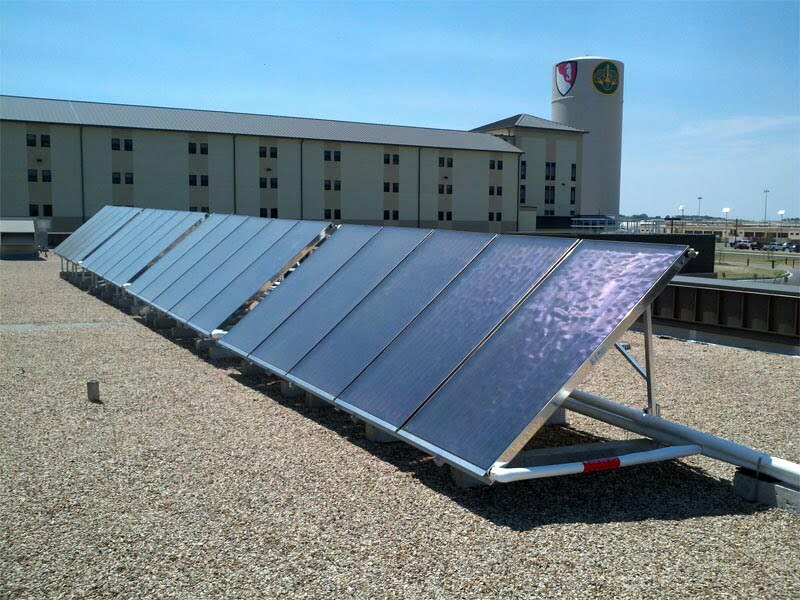 Tank size varies based on size of load). 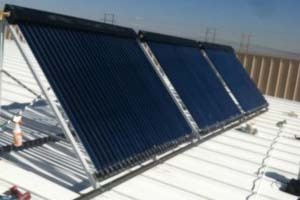 components will increase all costing components recommended below. 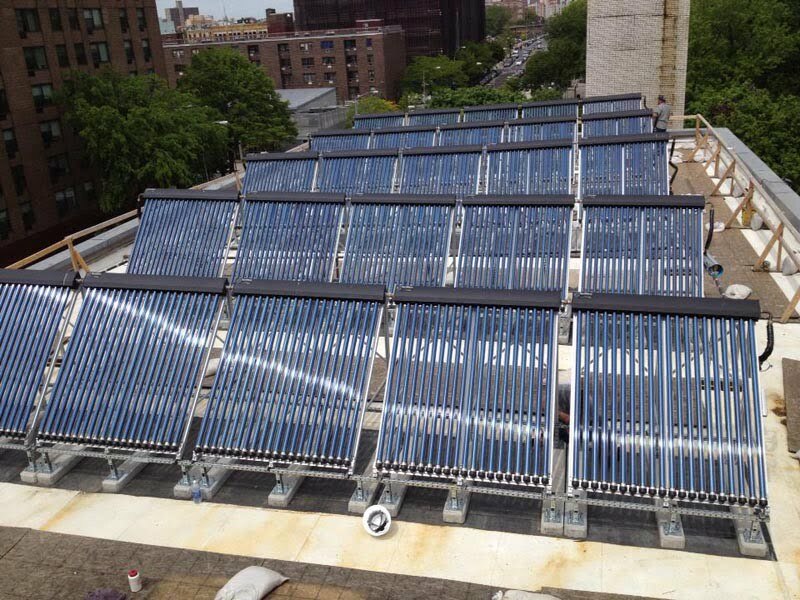 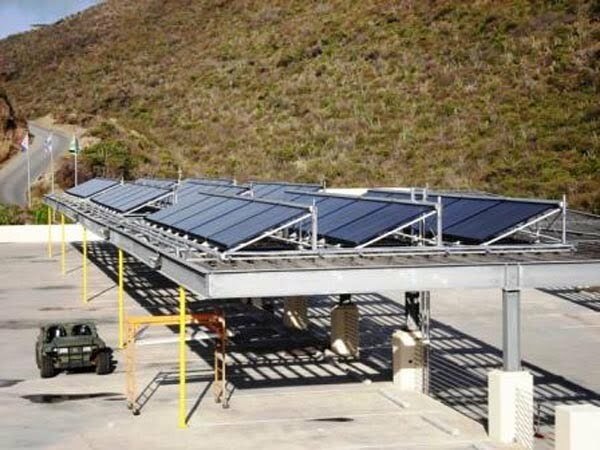 Data based on NYS solar thermal production. 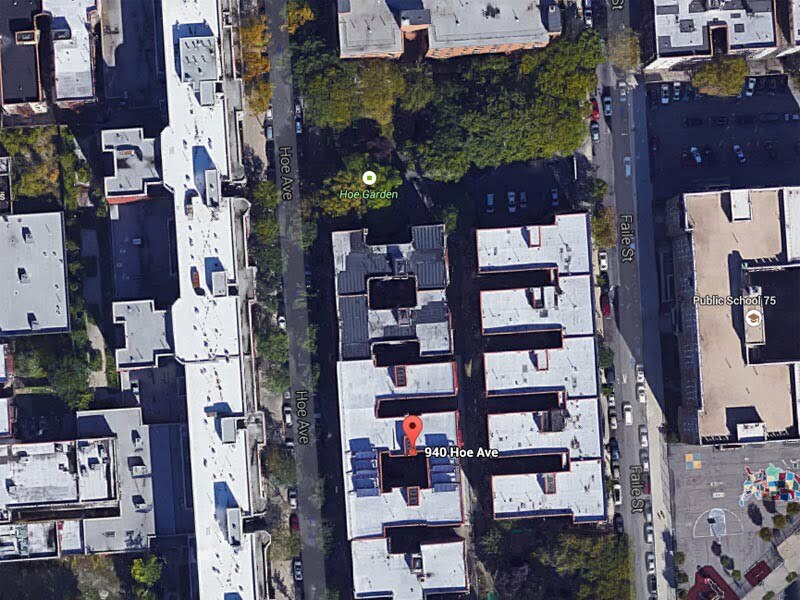 Results may vary based on geographic location. 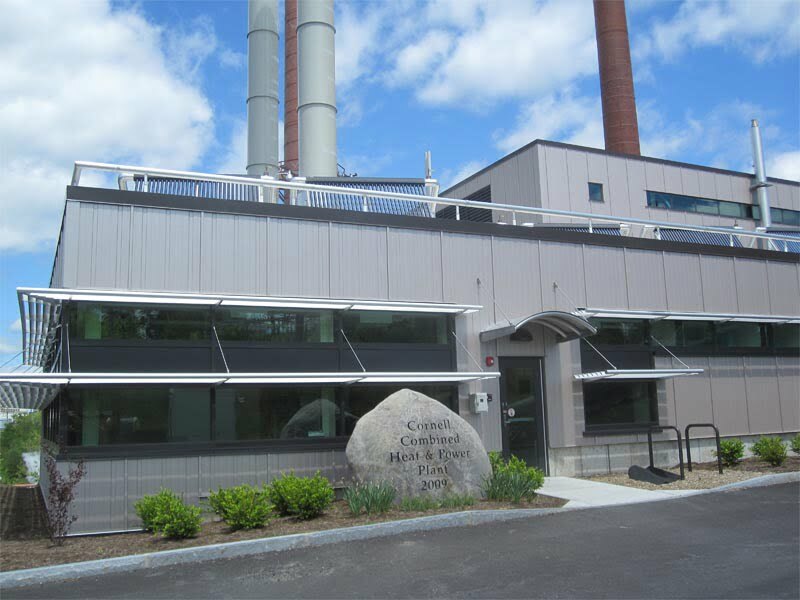 Notes: Average $/ft2 of collector area includes suggested installation cost + all materials required for project. 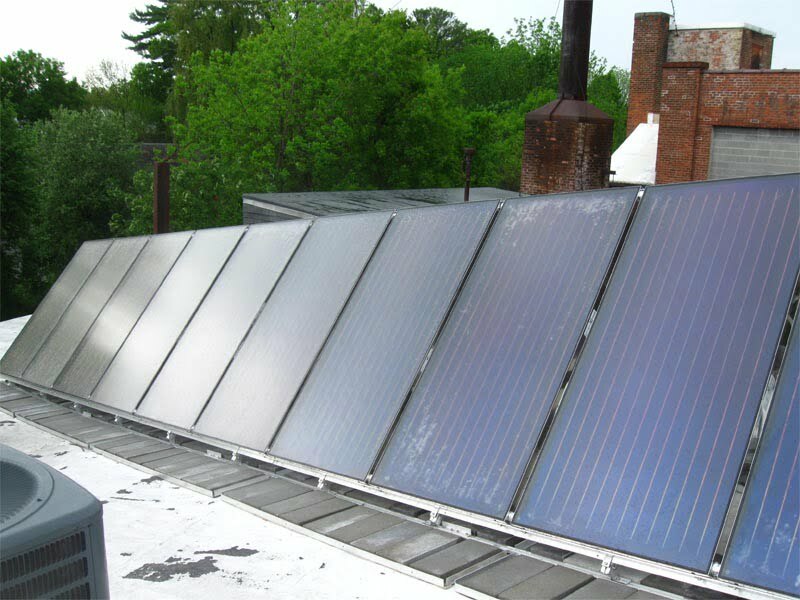 Actual cost may vary based on installation site. 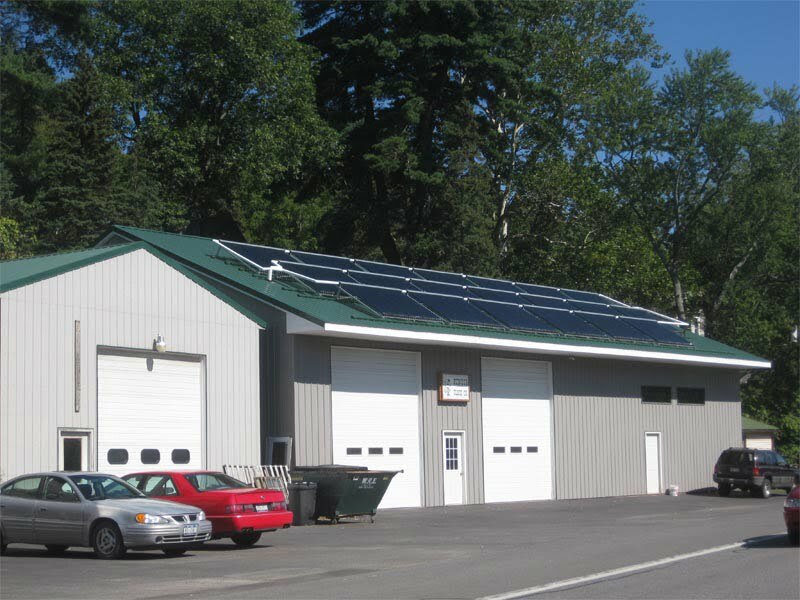 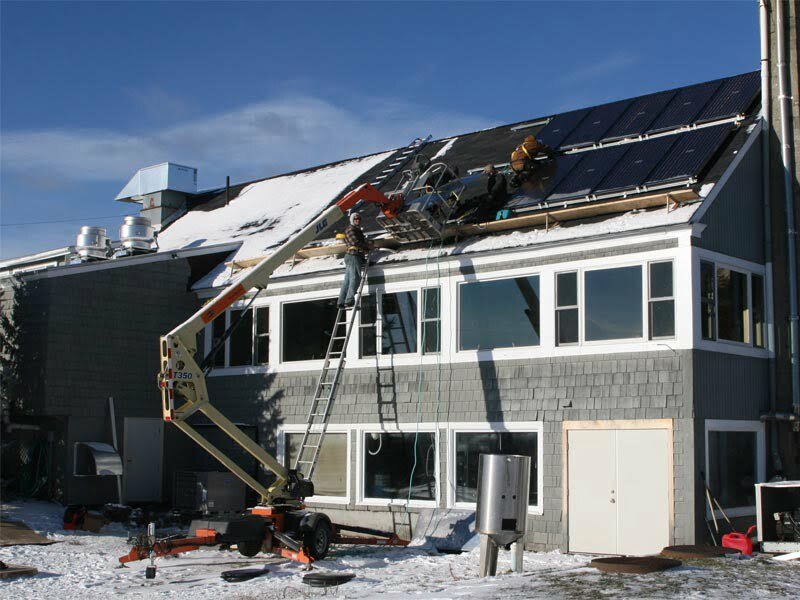 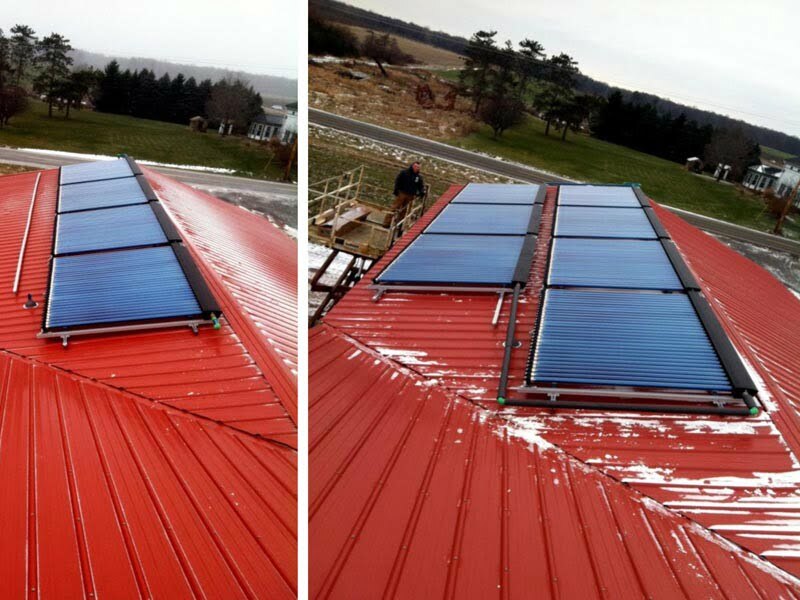 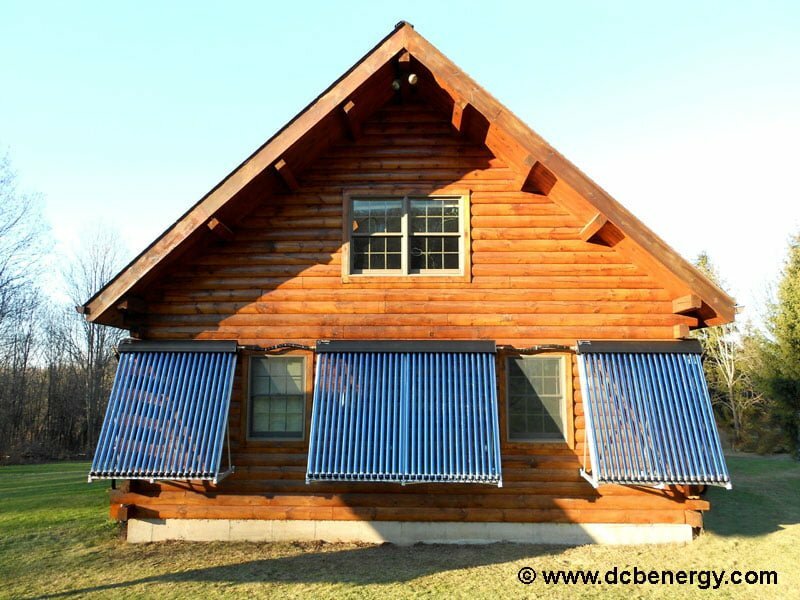 SunMaxx Solar Installation at Kuhns Bros. Log Homes Inc.